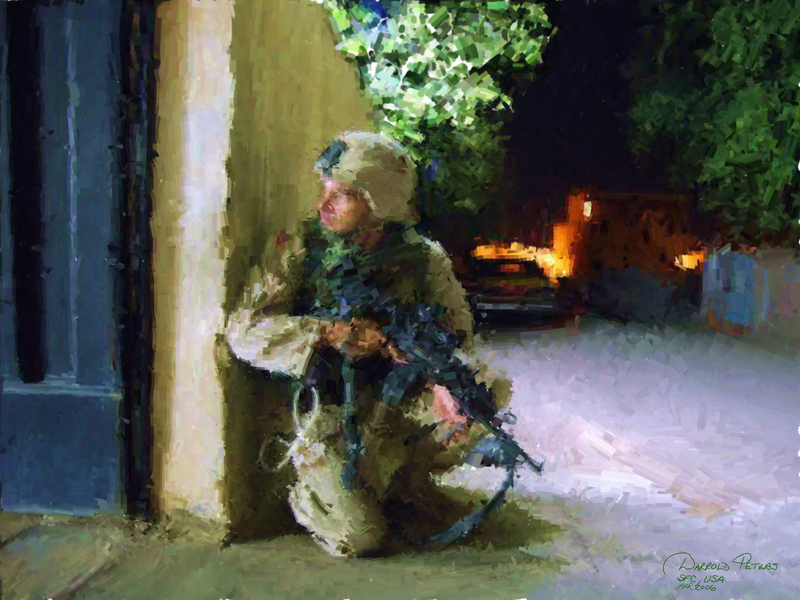 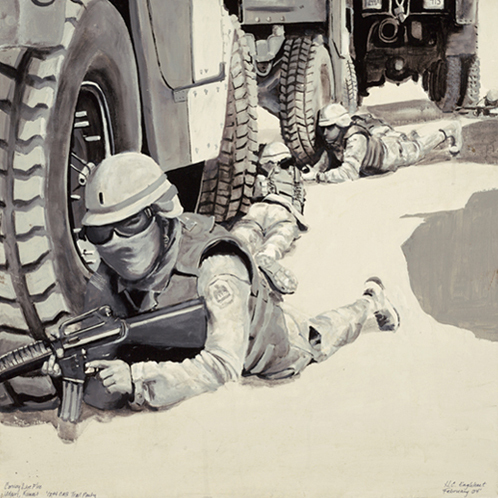 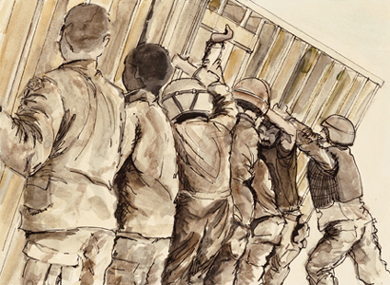 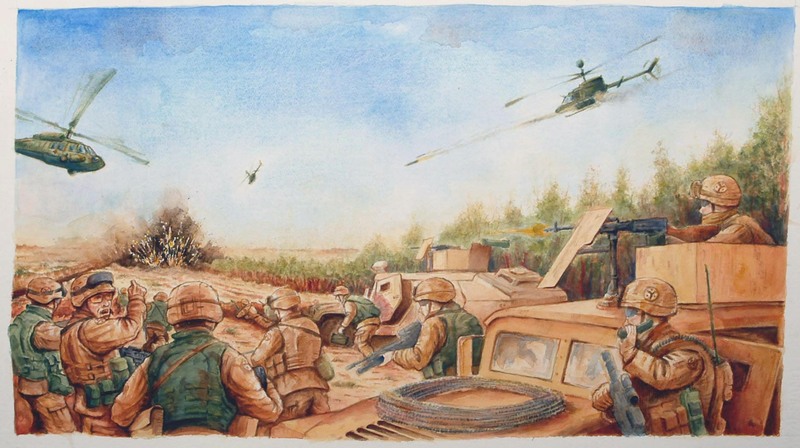 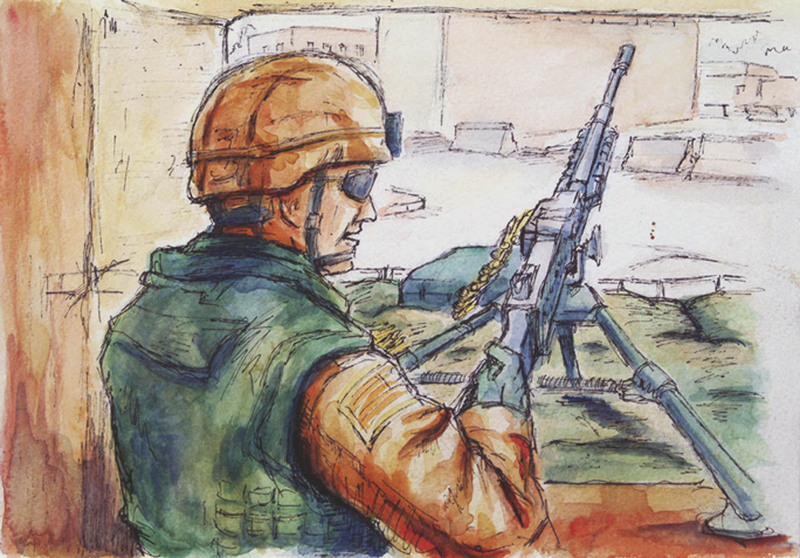 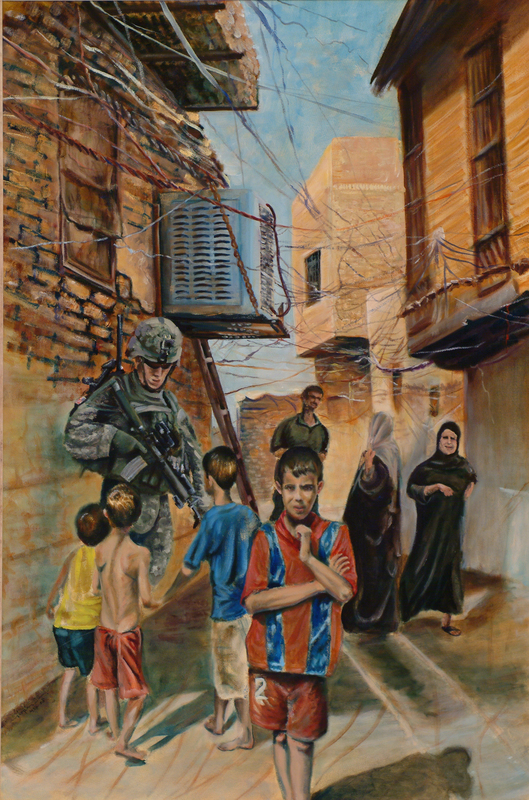 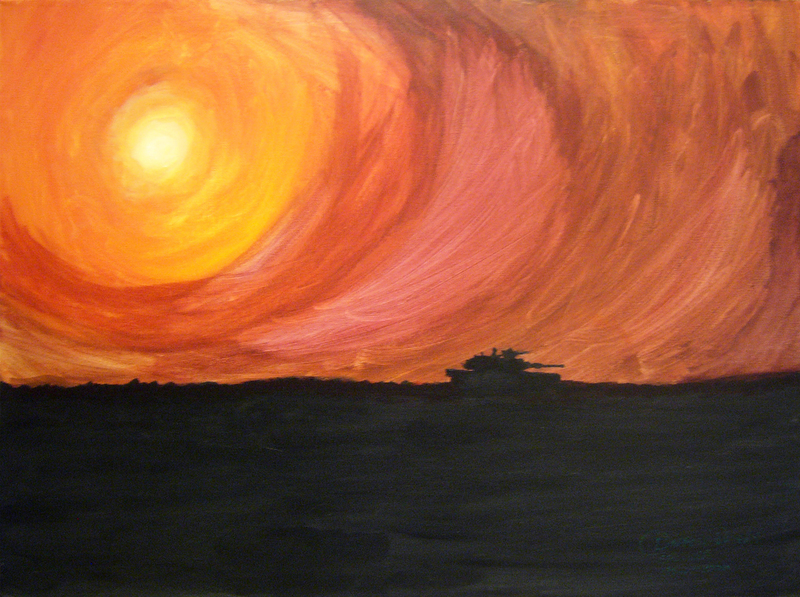 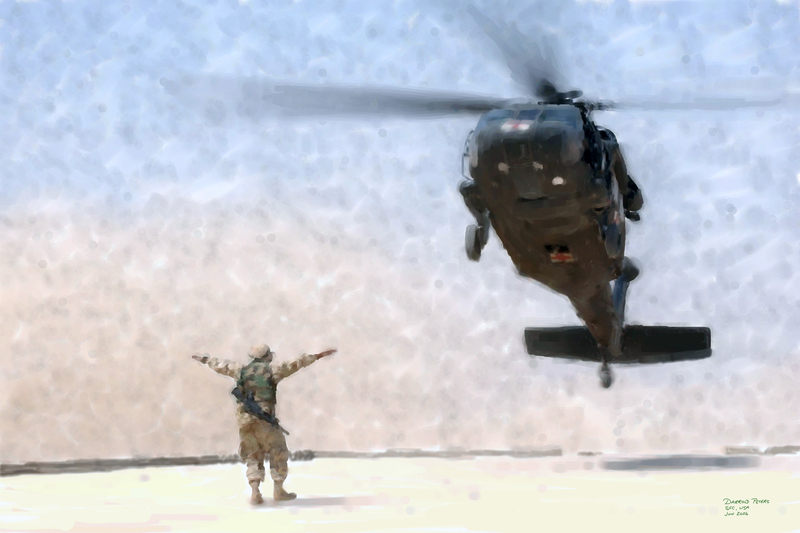 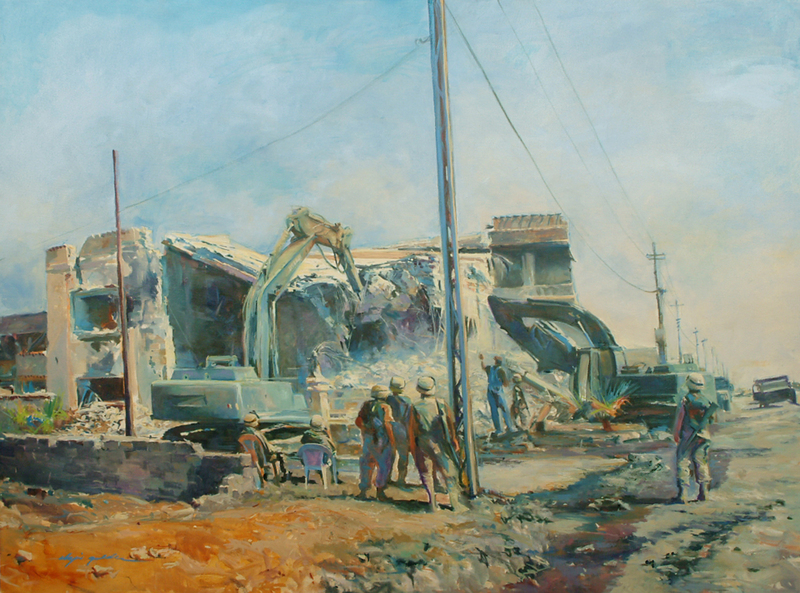 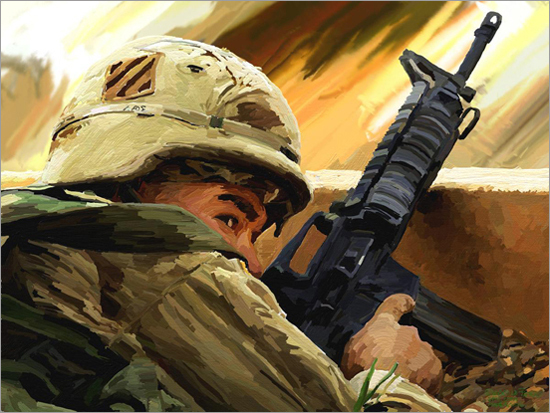 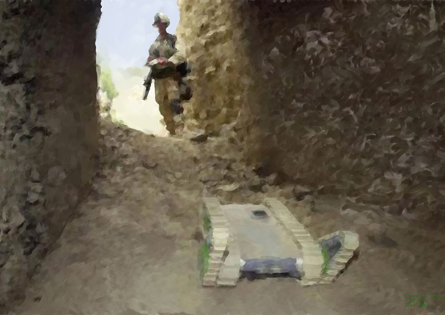 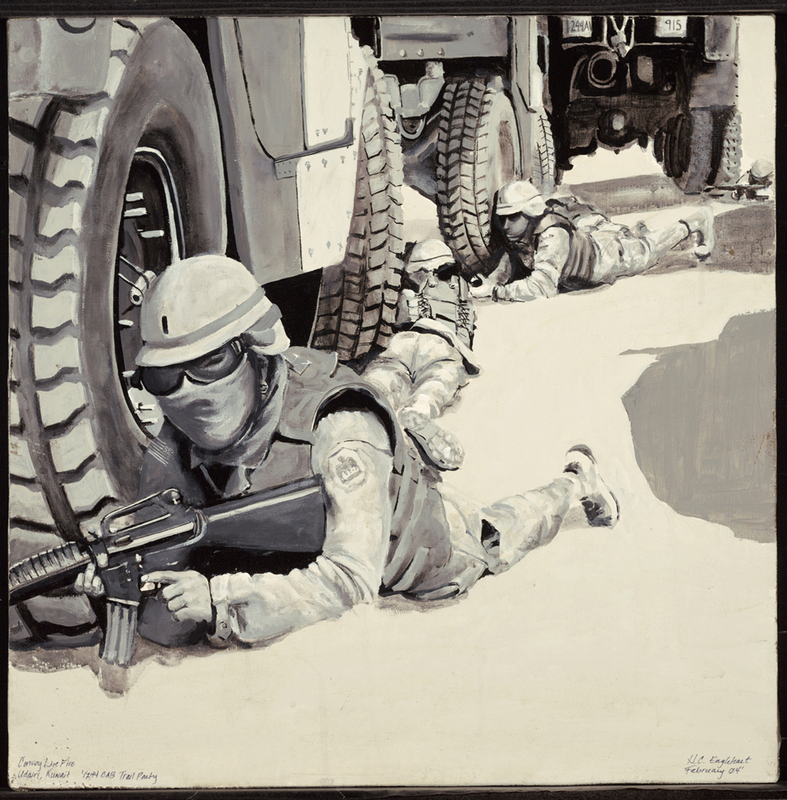 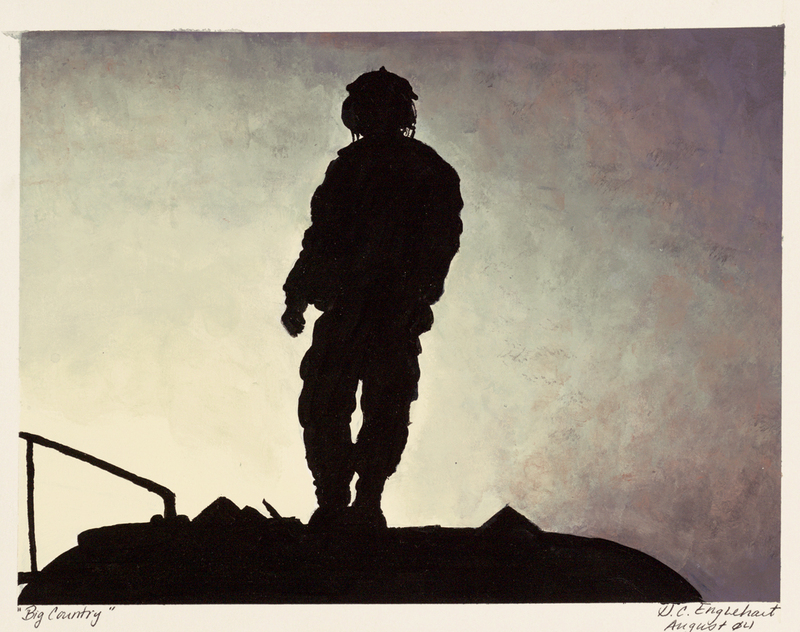 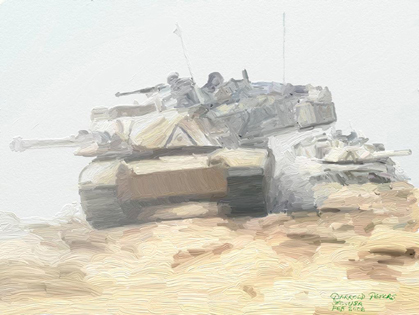 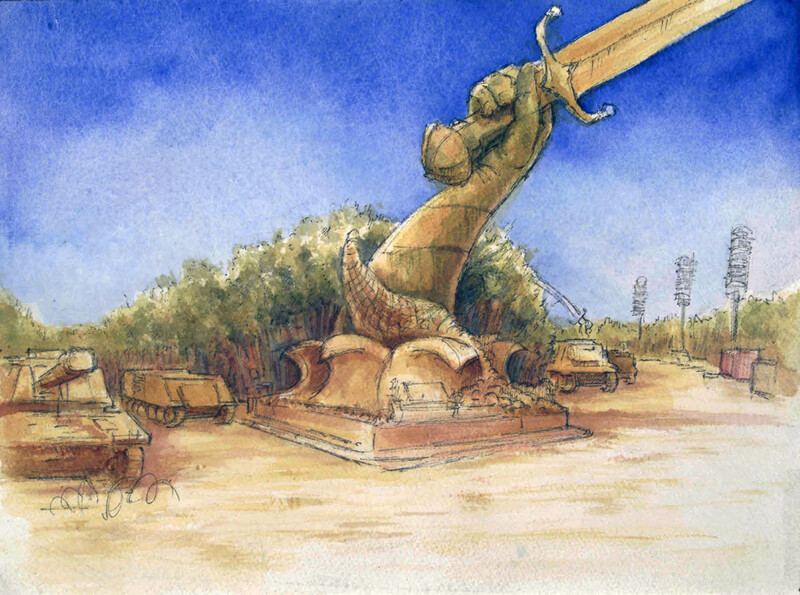 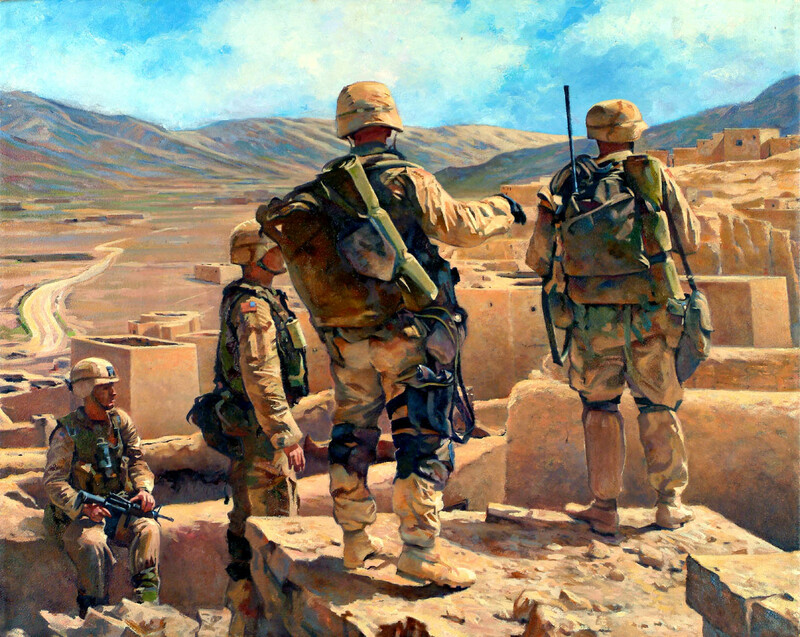 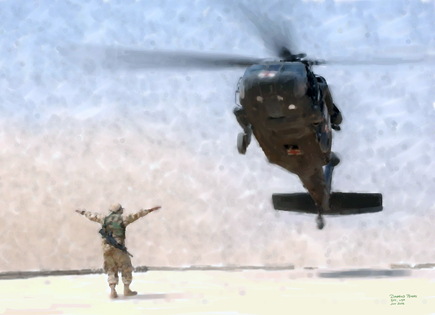 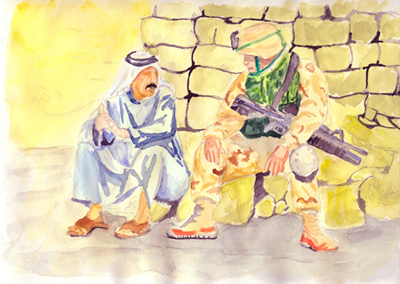 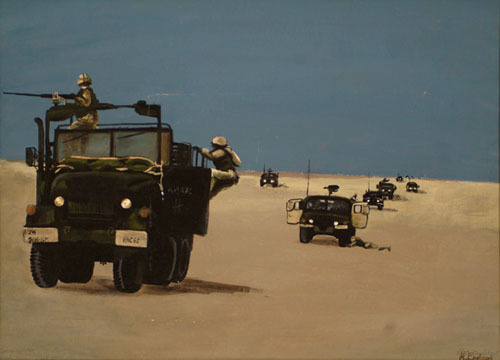 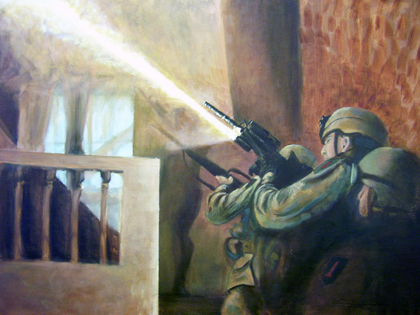 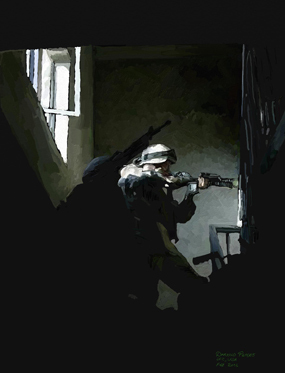 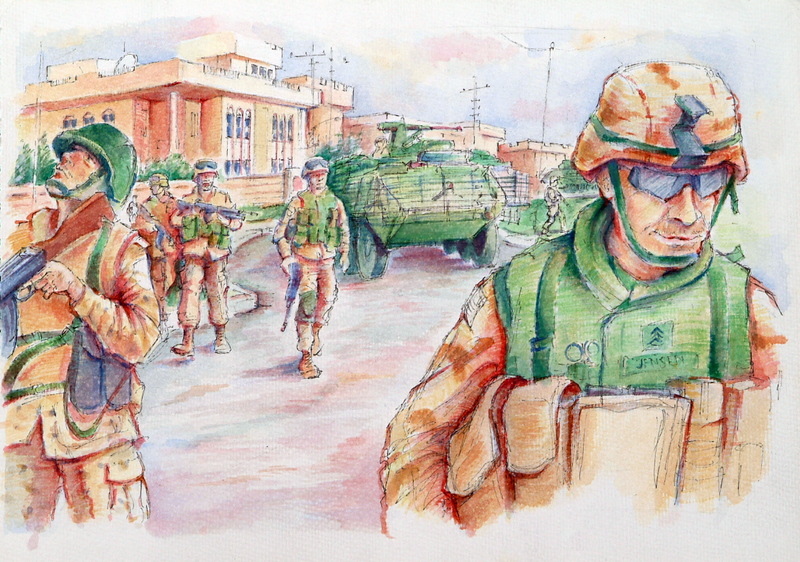 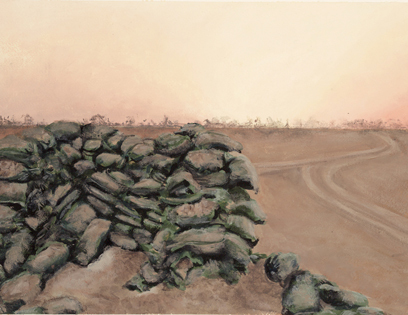 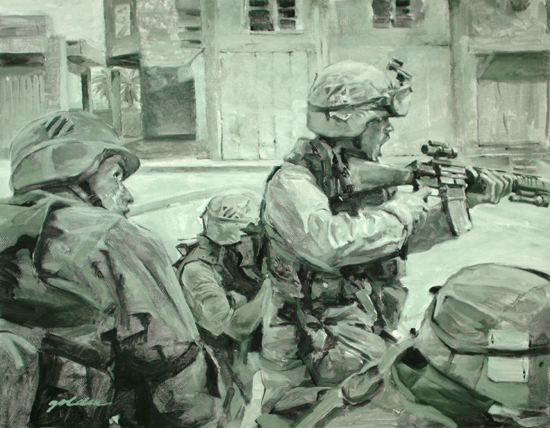 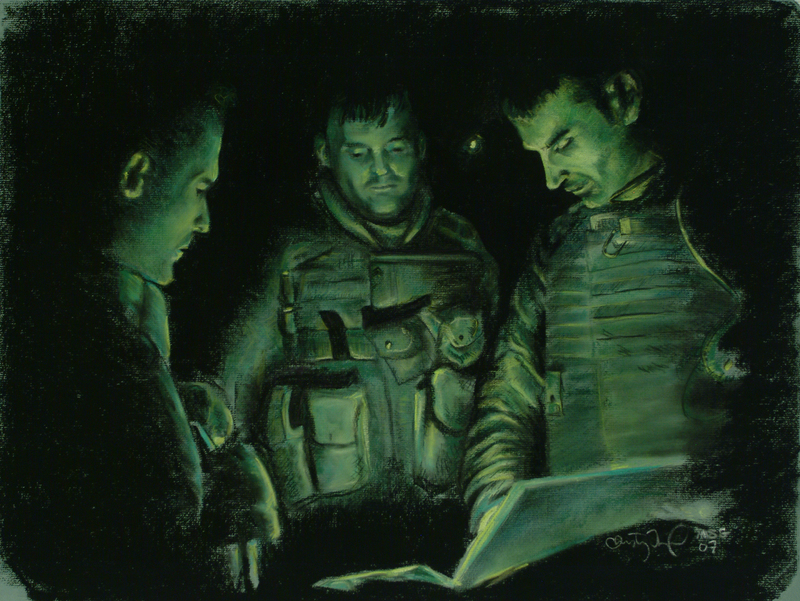 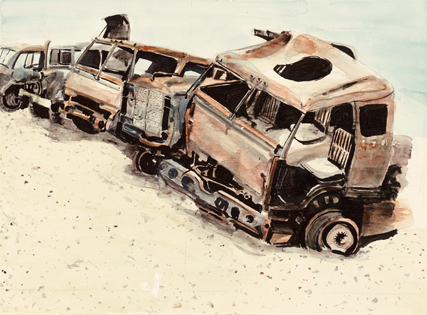 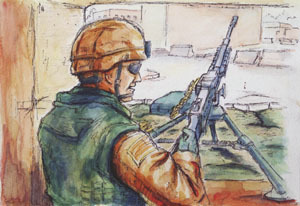 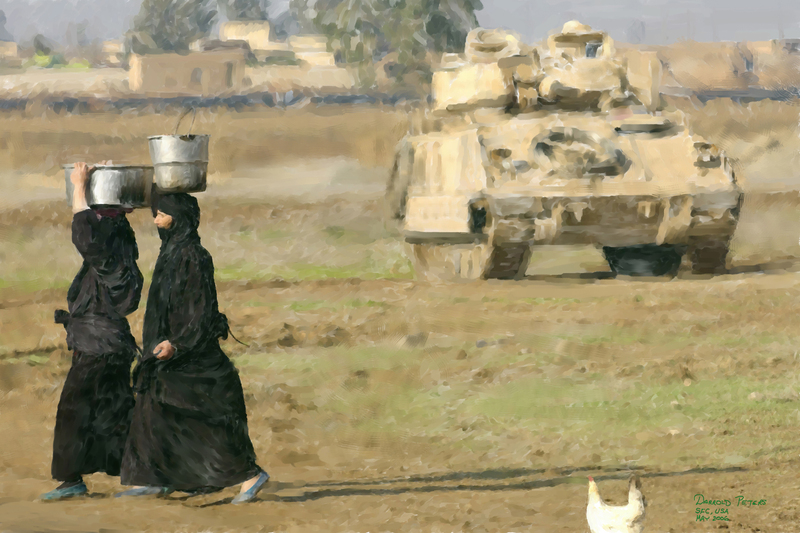 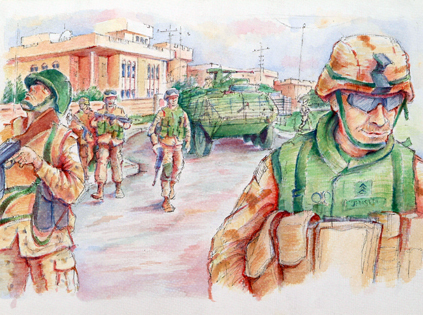 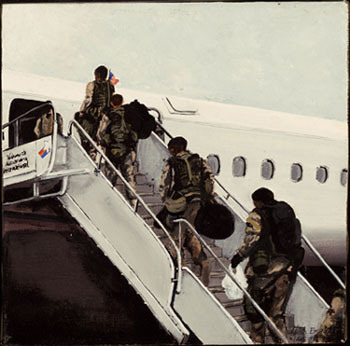 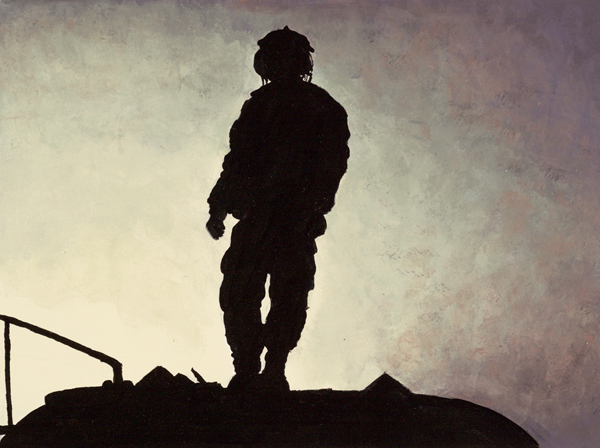 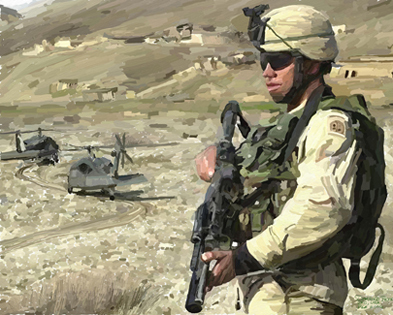 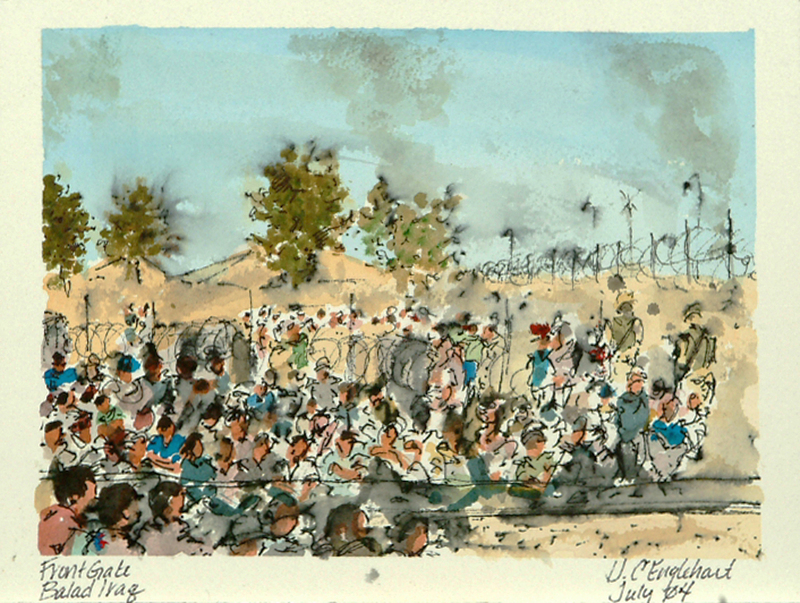 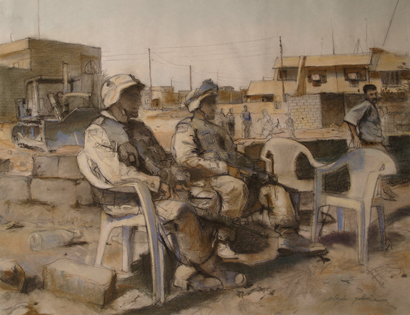 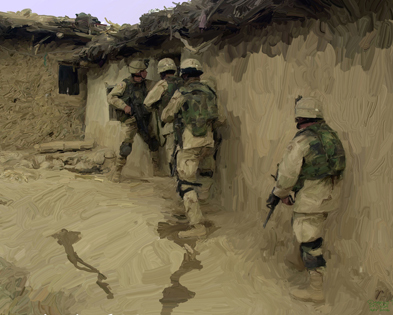 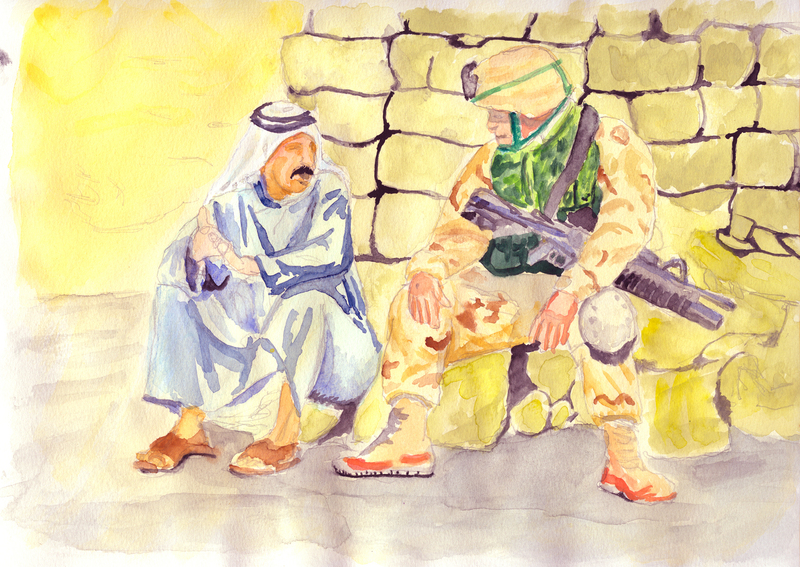 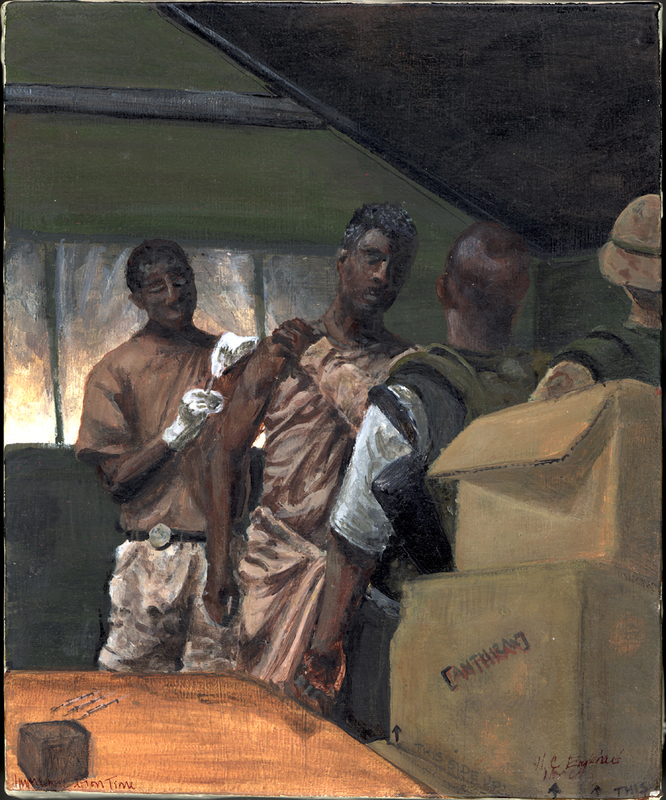 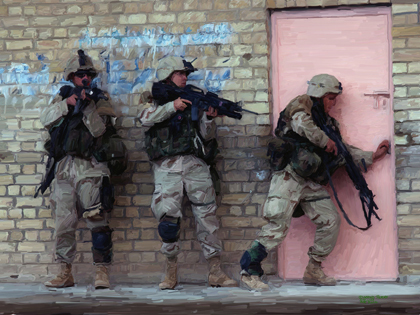 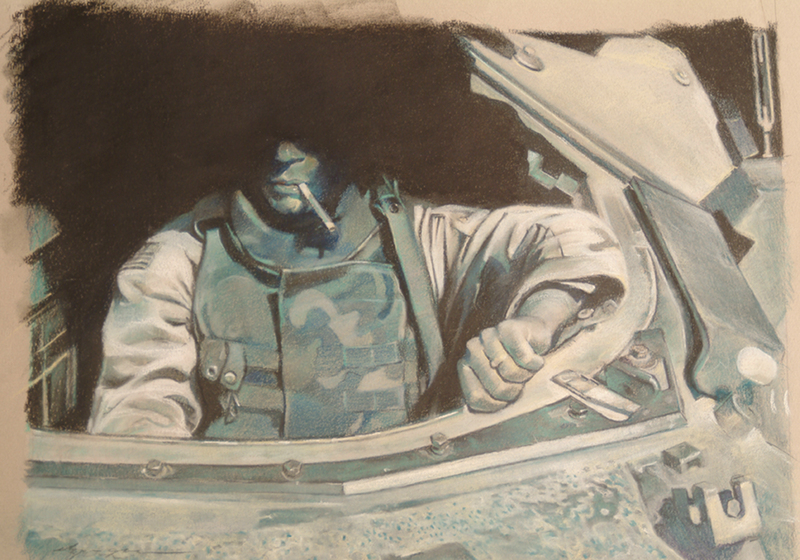 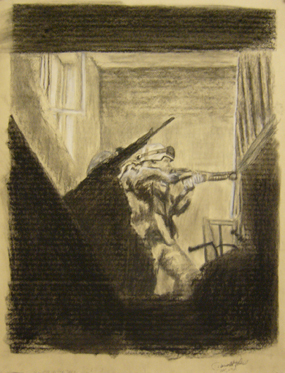 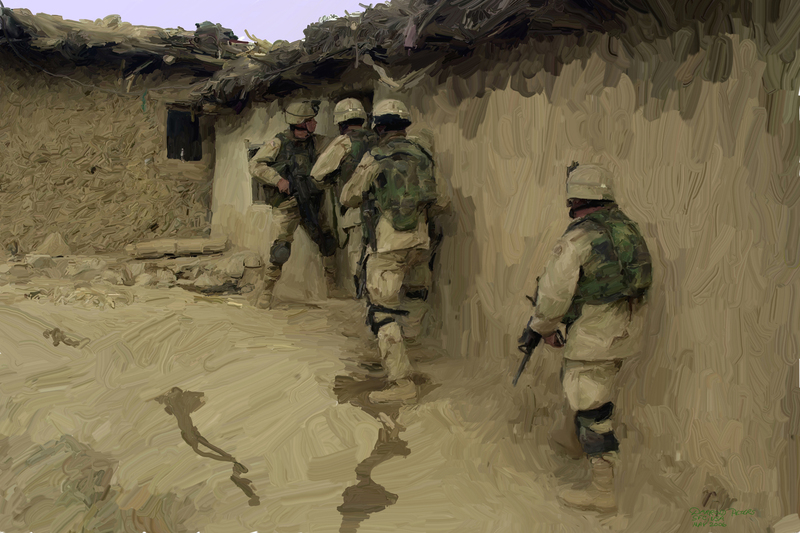 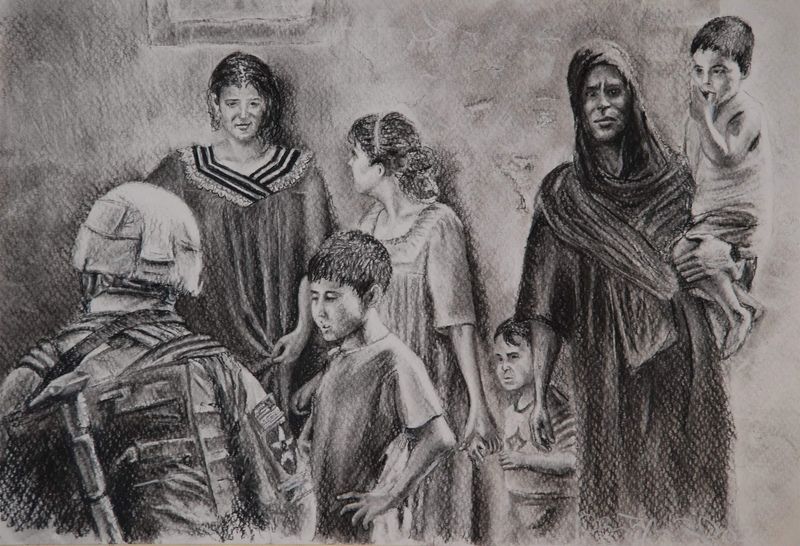 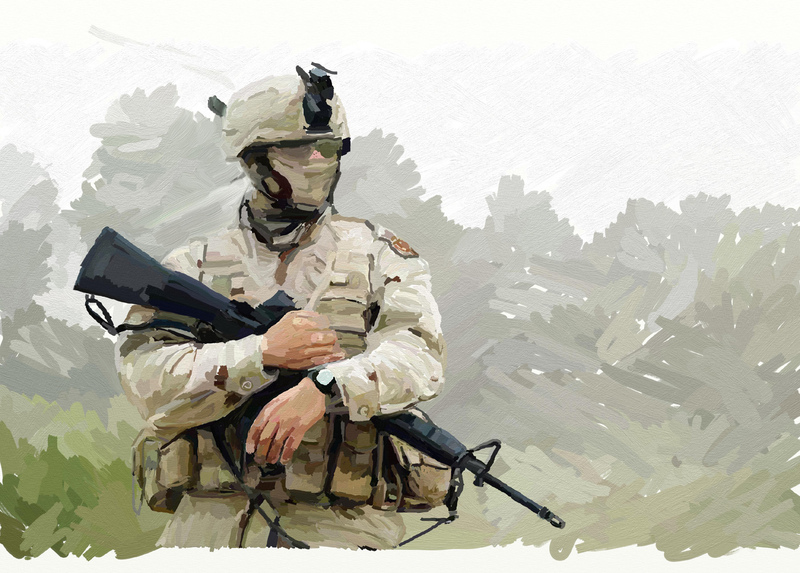 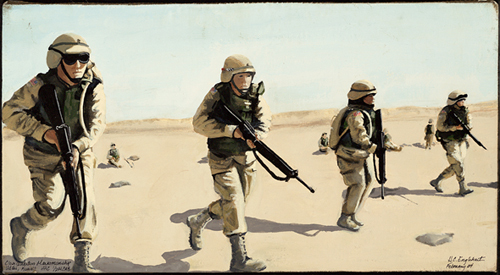 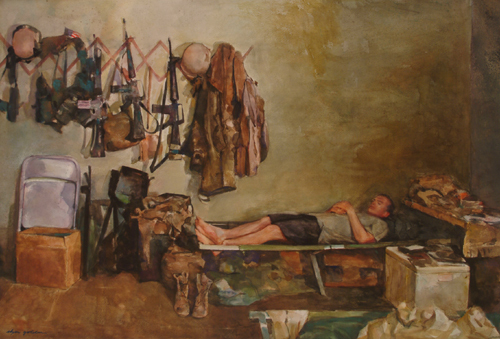 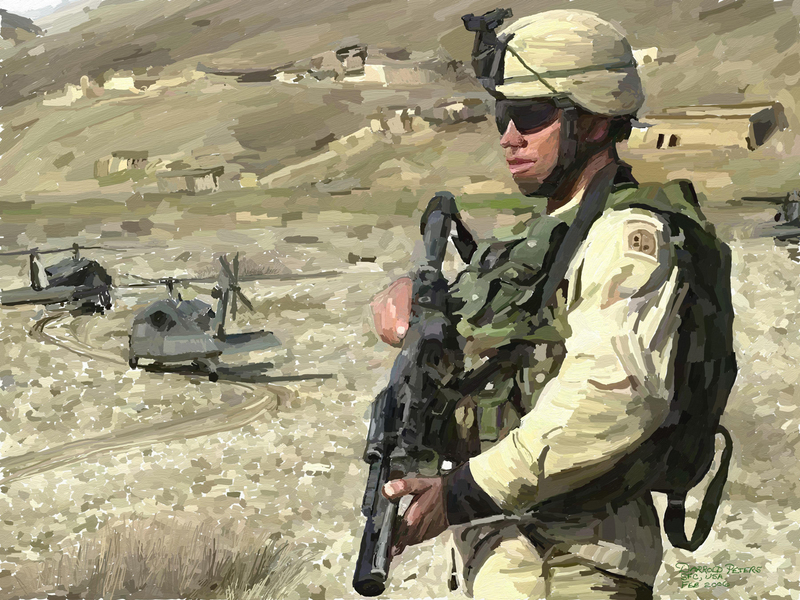 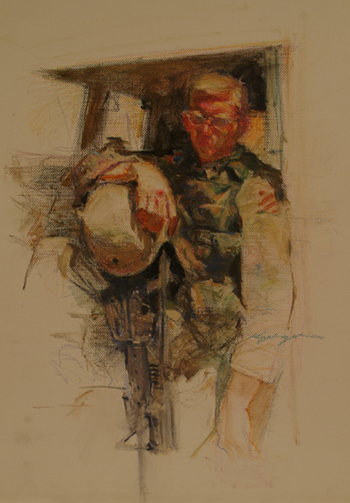 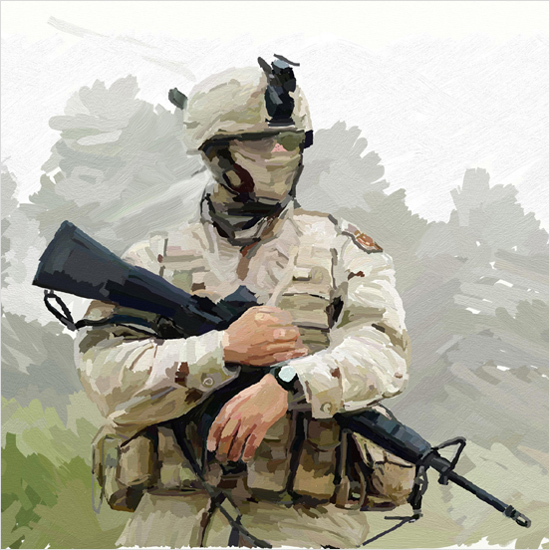 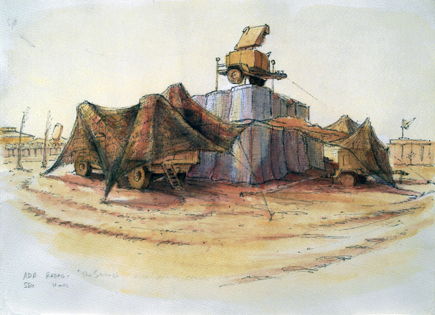 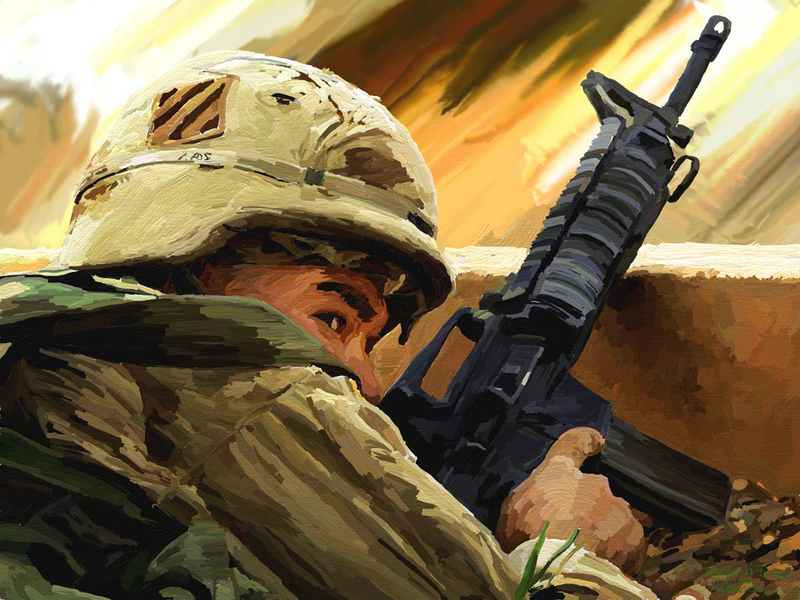 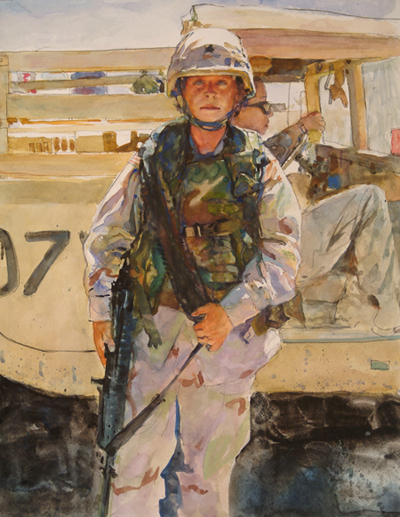 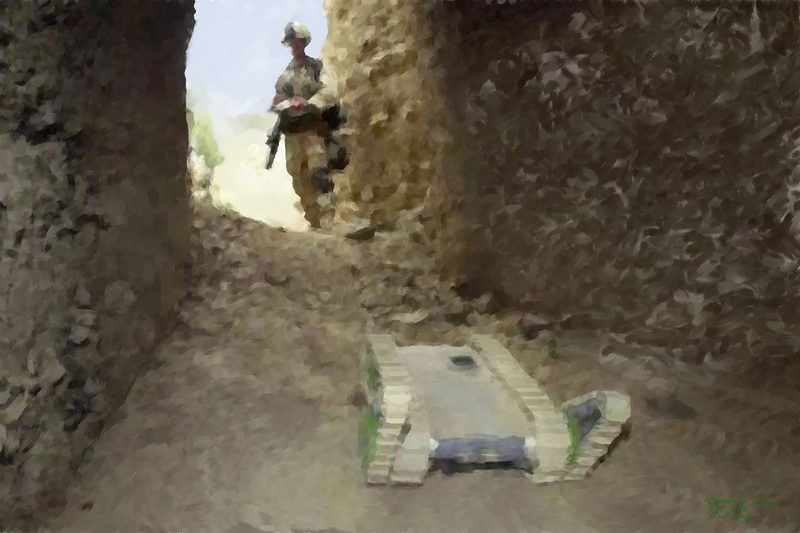 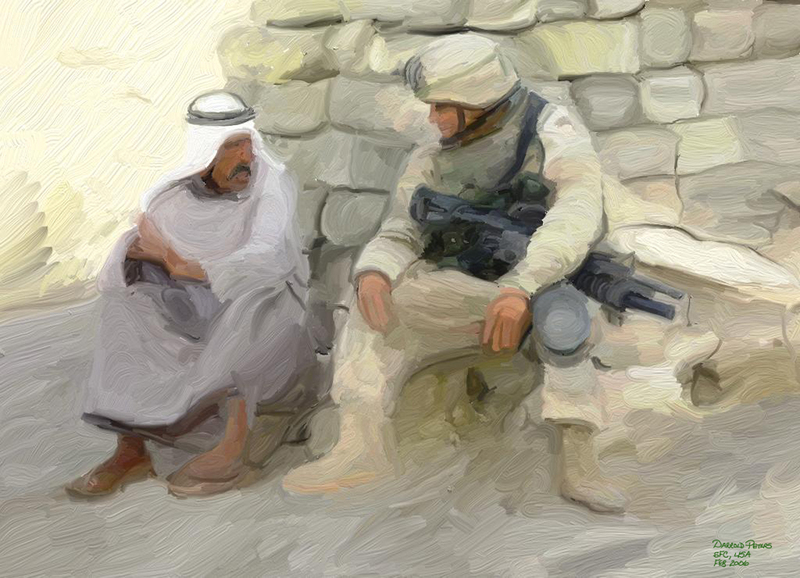 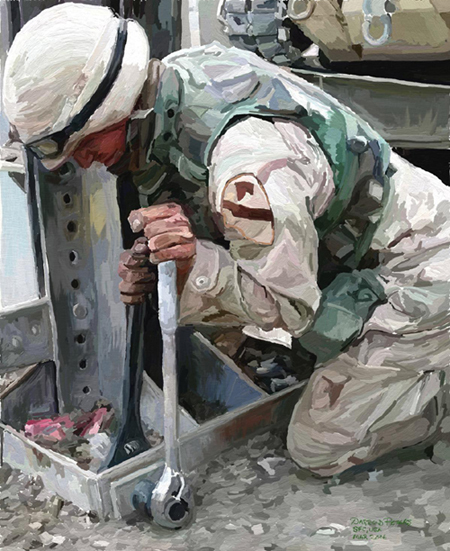 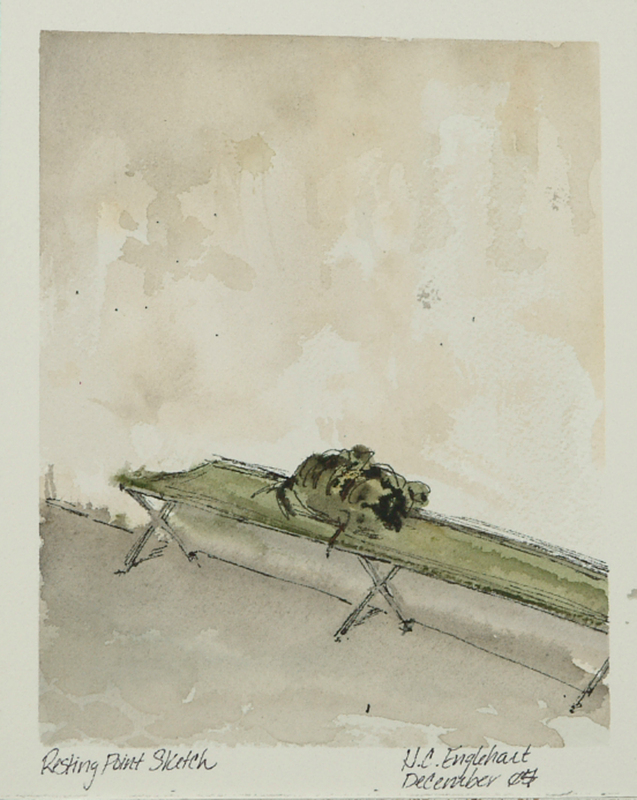 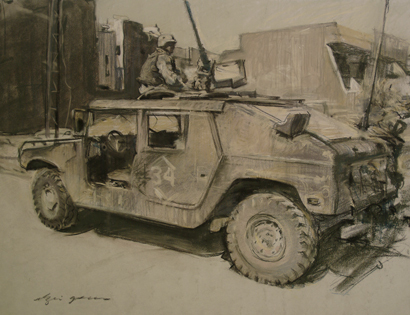 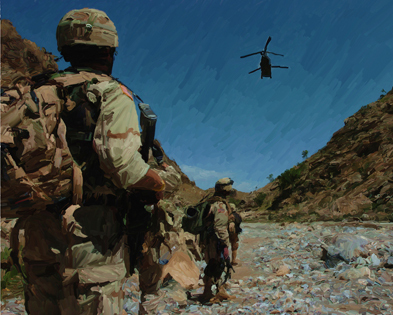 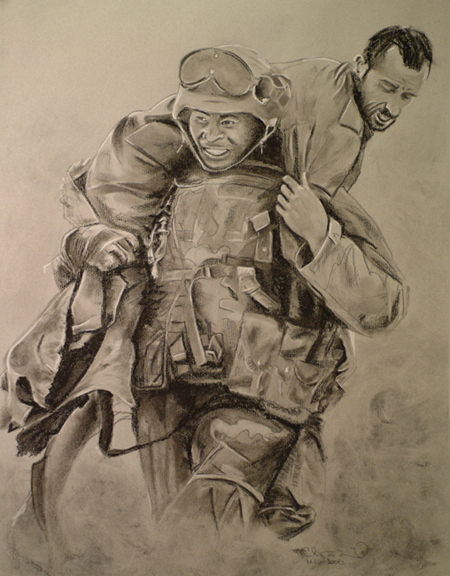 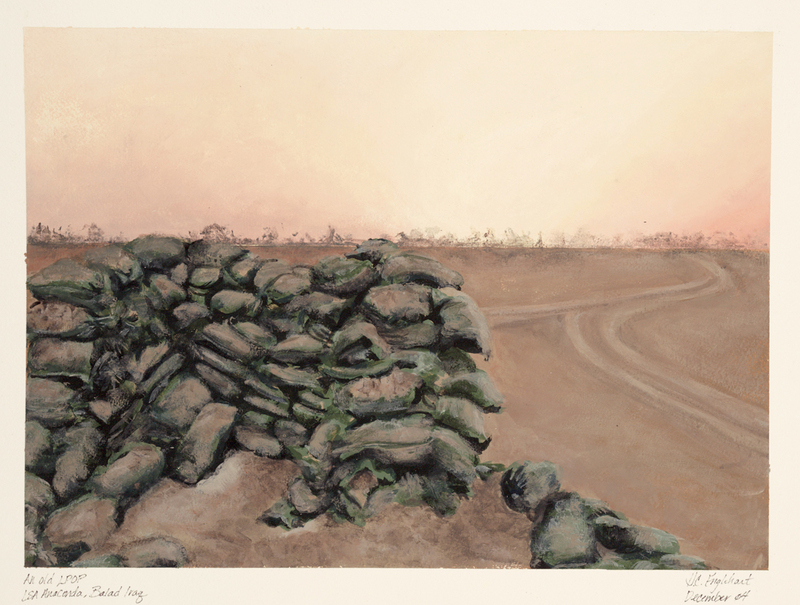 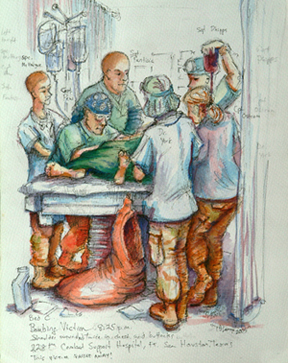 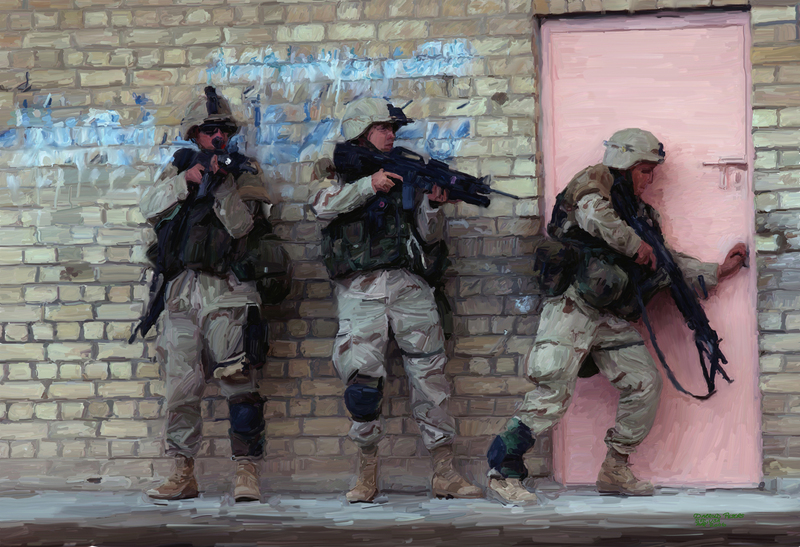 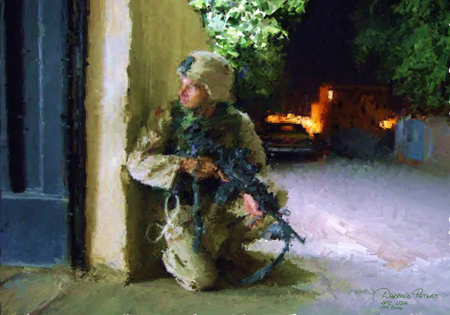 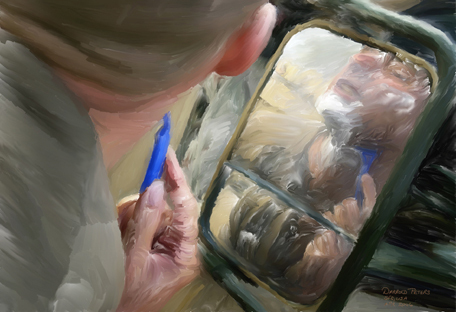 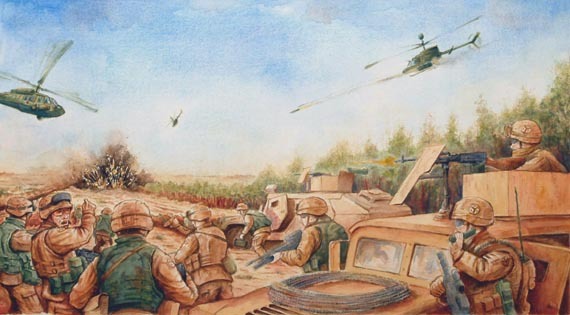 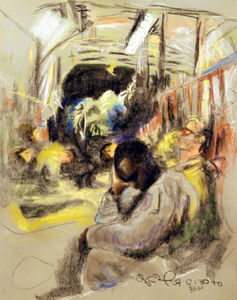 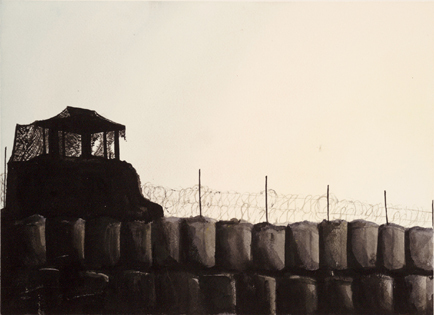 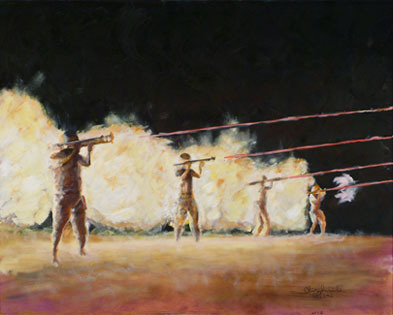 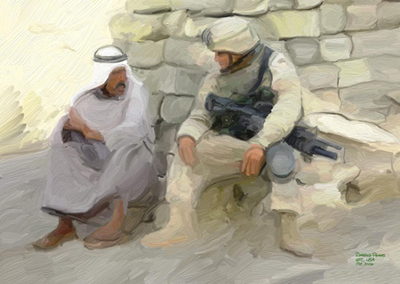 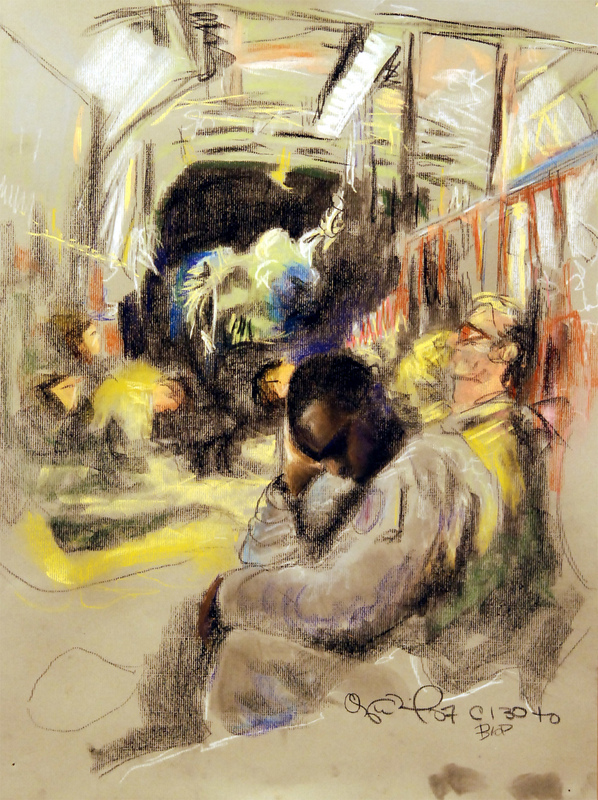 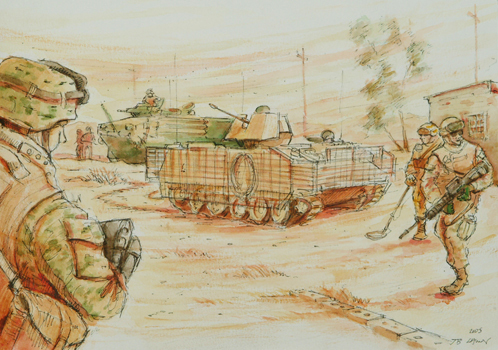 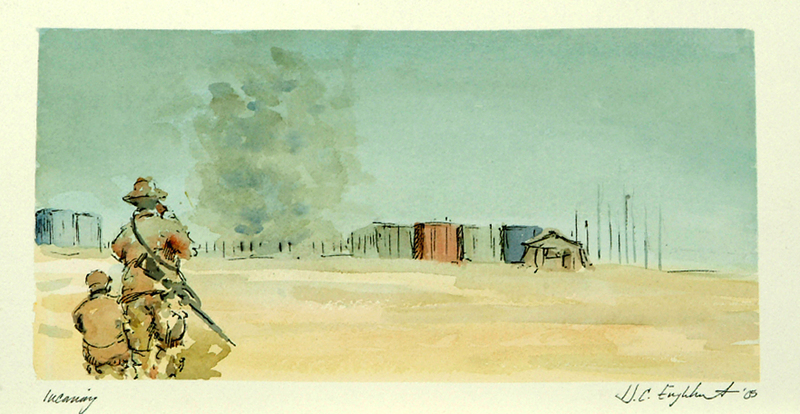 The WAR ON TERRORISM has been viewed by the public in many different mediums, but rarely has it had the opportunity to see a soldier-artists� rendition of the conflict, one that provides a unique and personal interpretation of how the experience can be depicted. 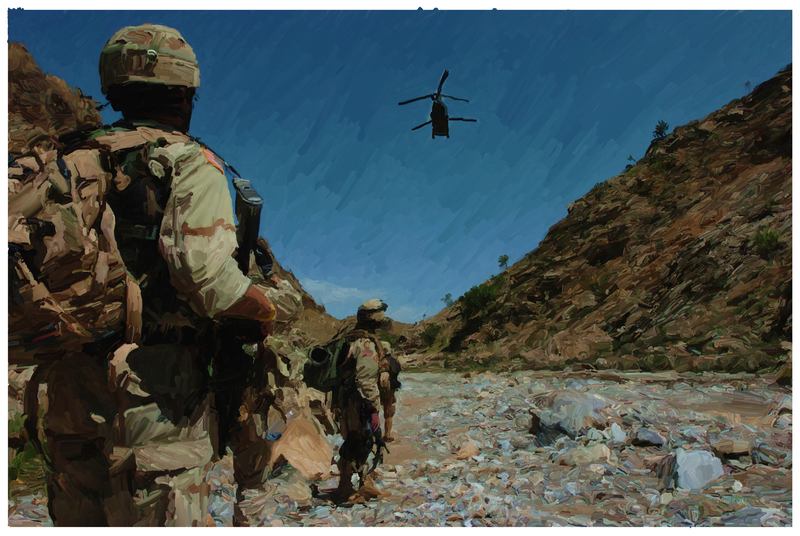 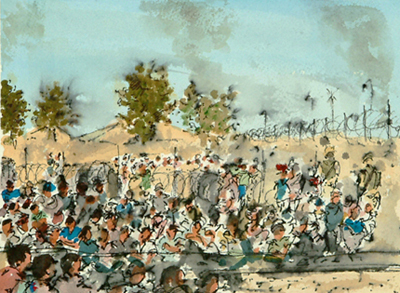 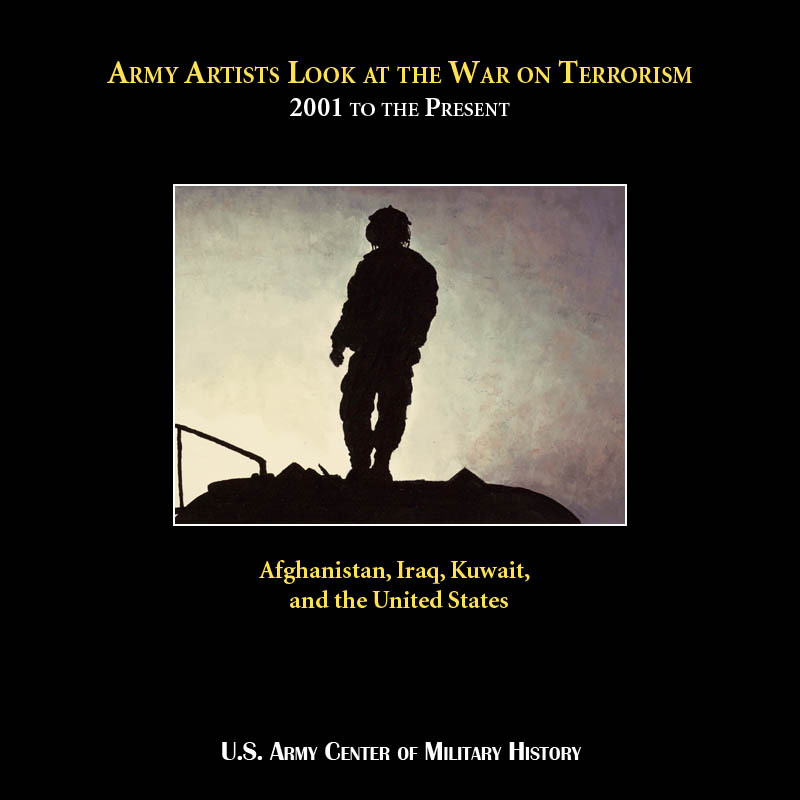 The artwork included in this online book on the WAR ON TERRORISM provides a visual history from September 11, 2001 to the present. 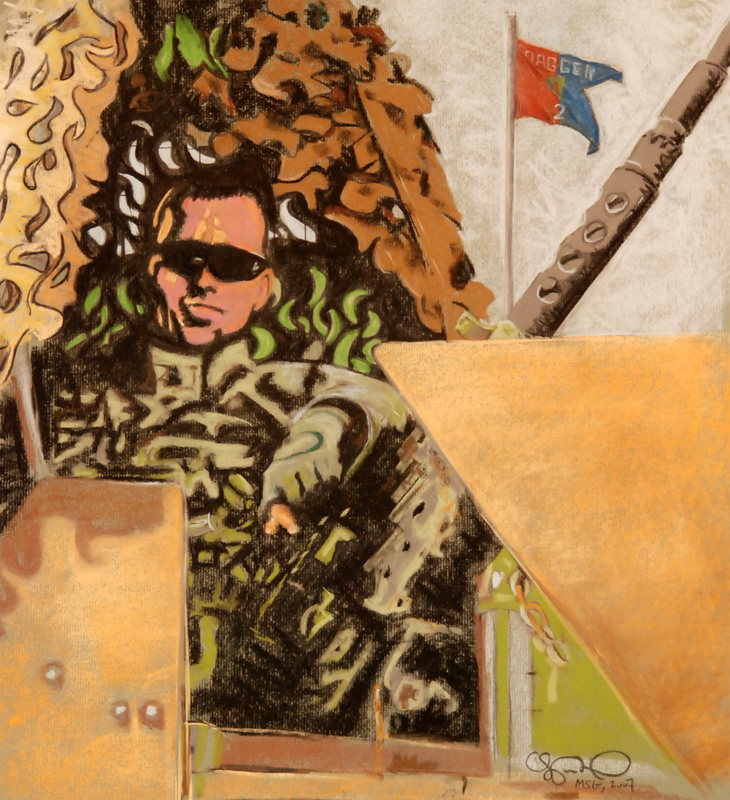 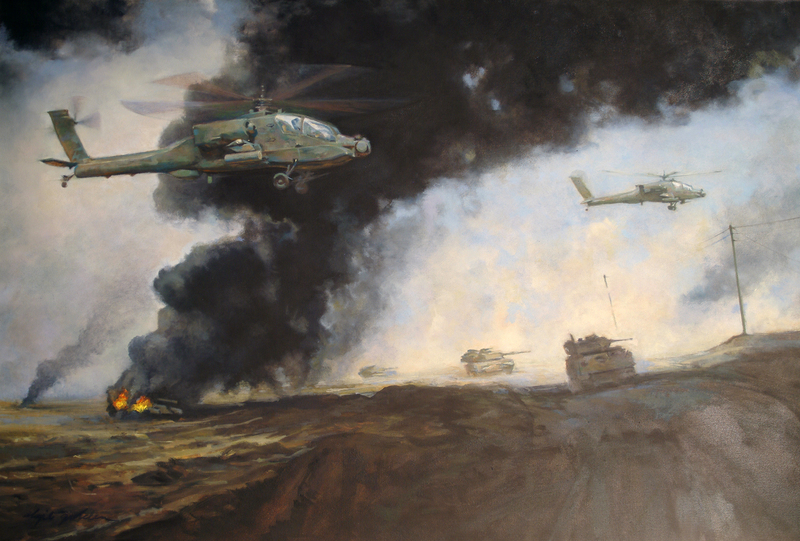 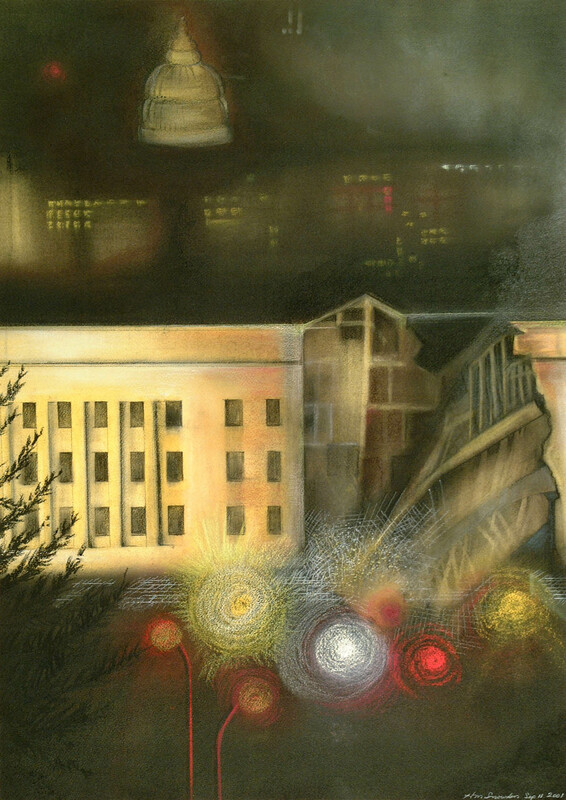 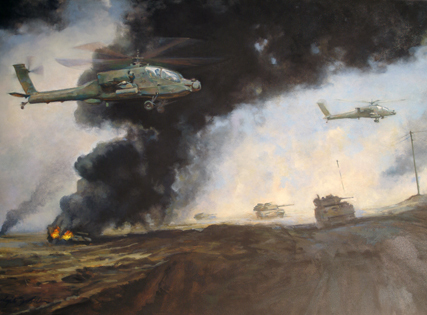 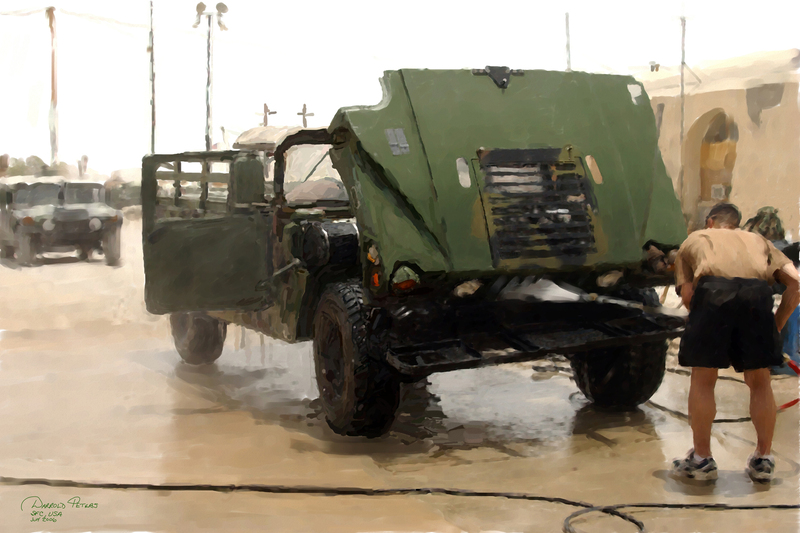 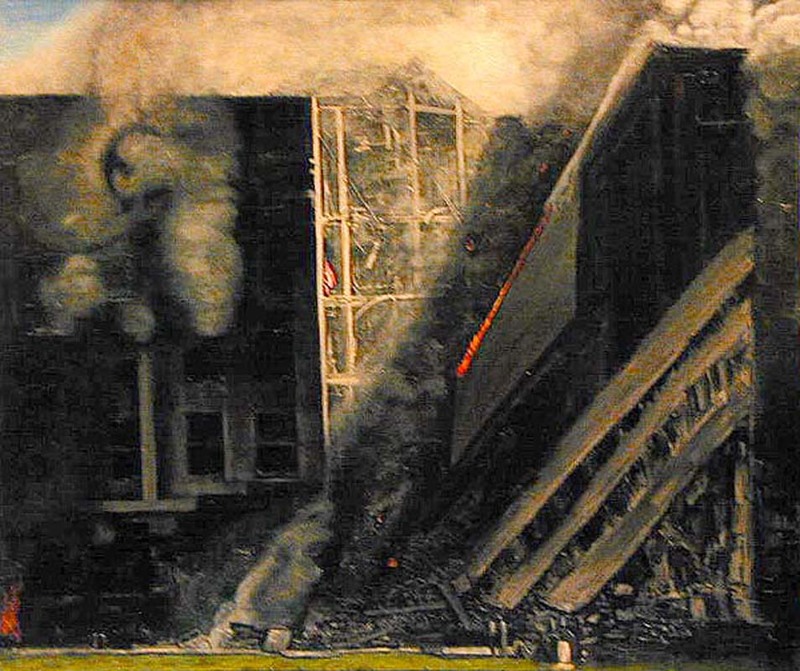 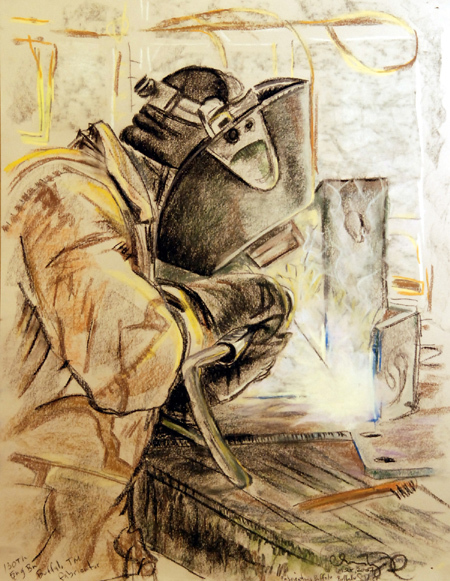 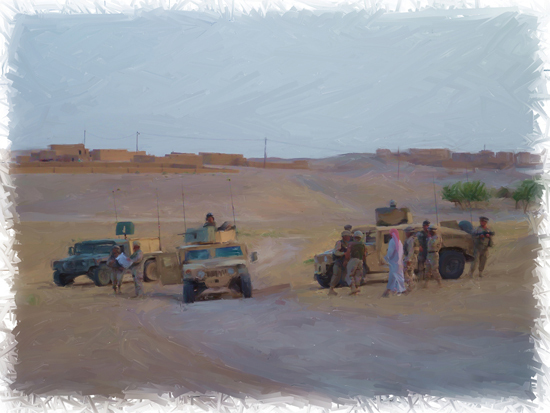 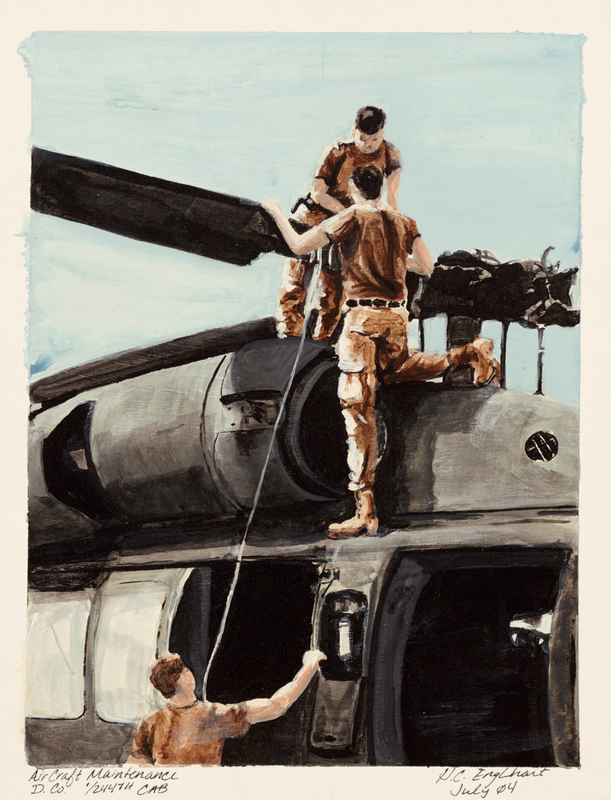 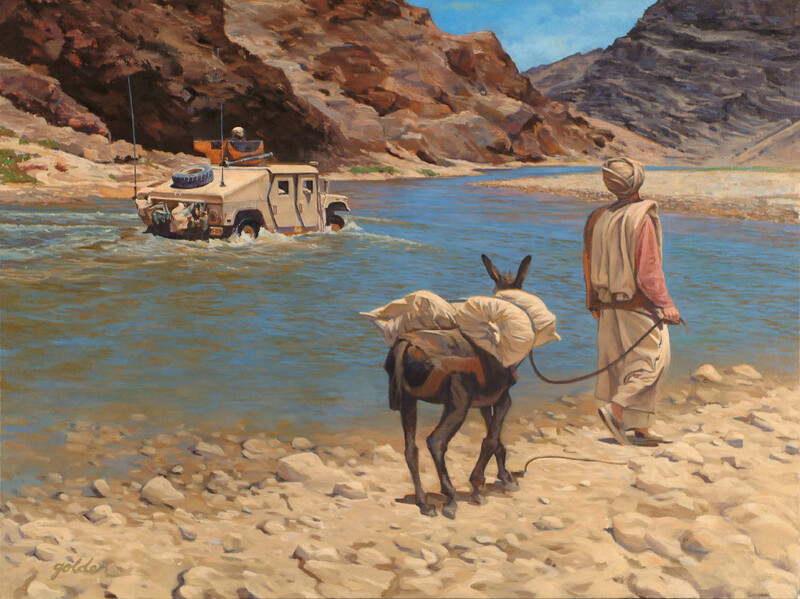 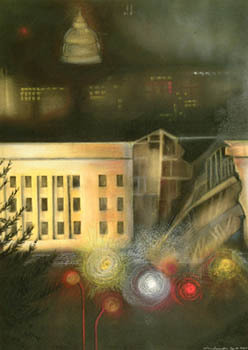 The art was created by soldier-artists assigned to the Army Staff Artist Program under the aupises of the U.S. Army Center of Military History, Museum Division, in Washington, DC, and the Army Reserves and National Guard. 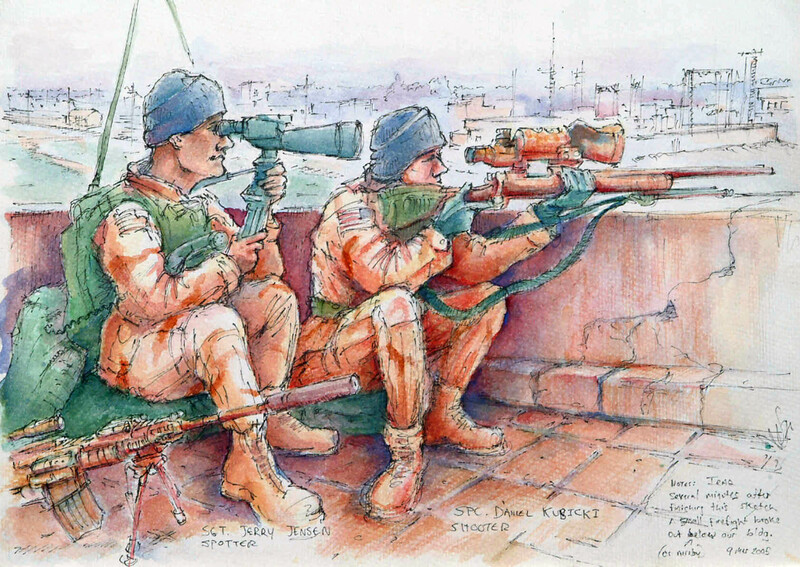 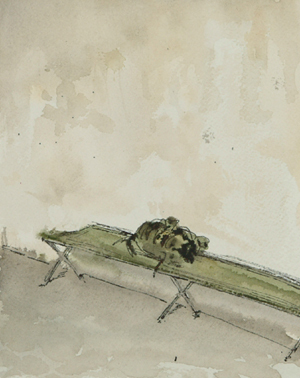 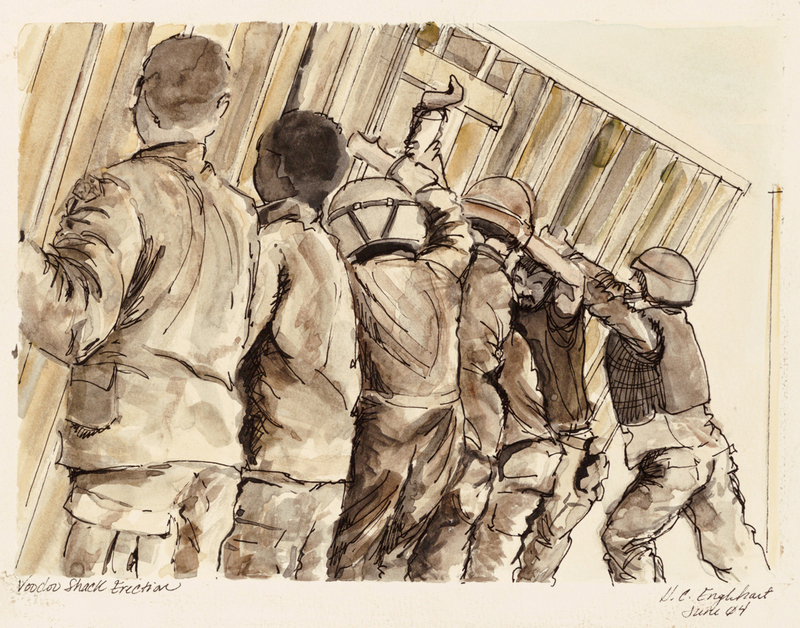 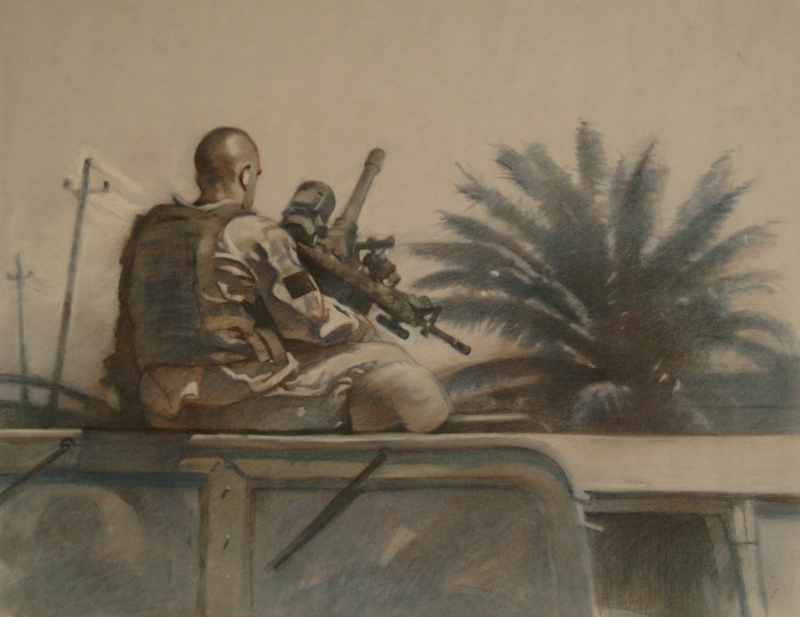 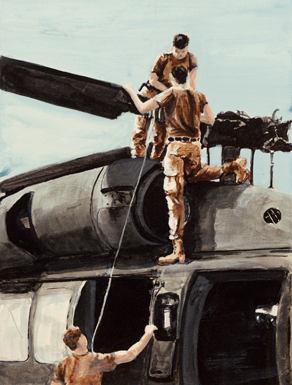 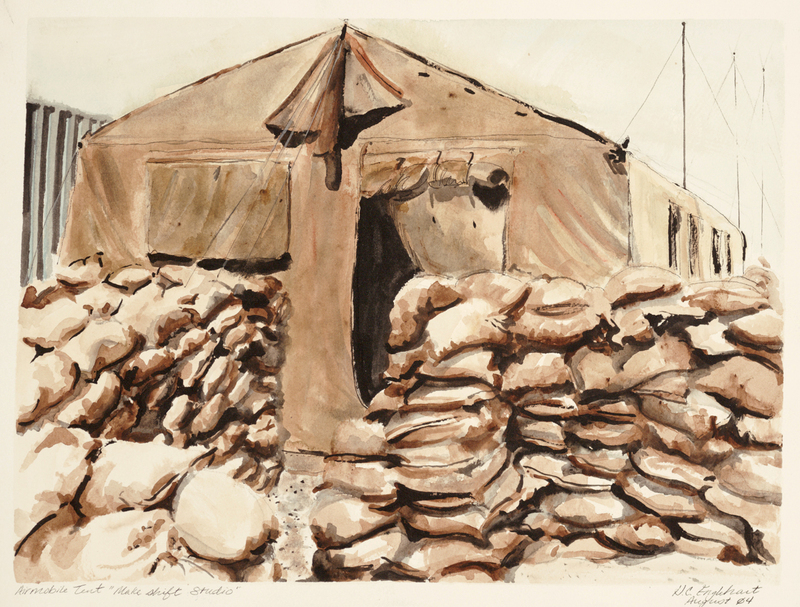 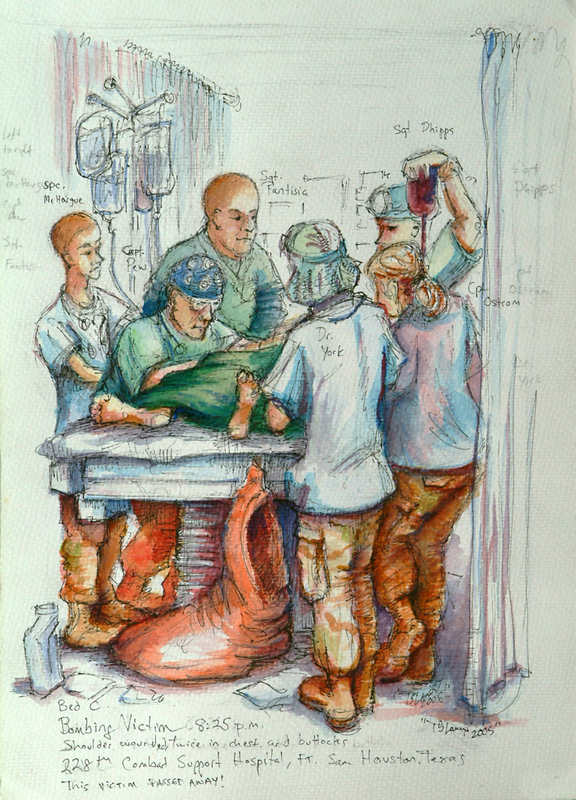 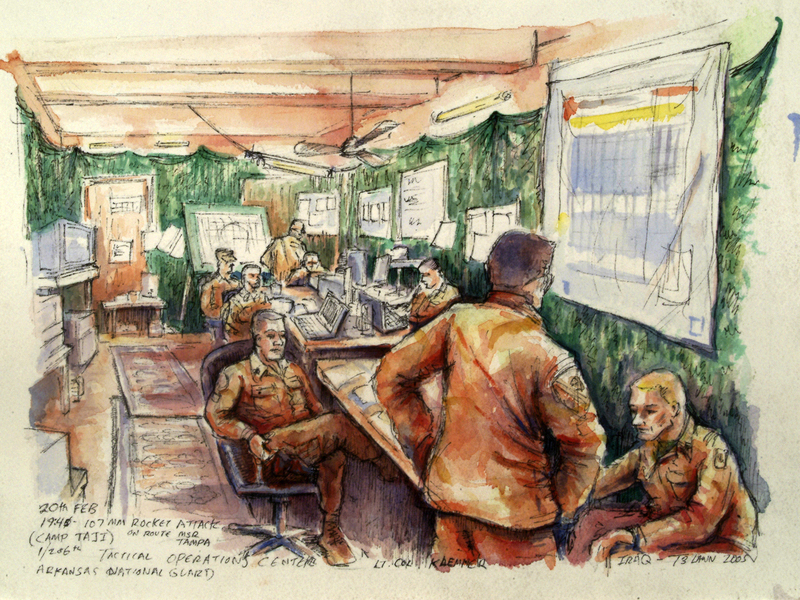 These soldier-artists continue a rich tradition of documenting the lives of American soldiers at war, in training, and in a variety of humanitarian missions. 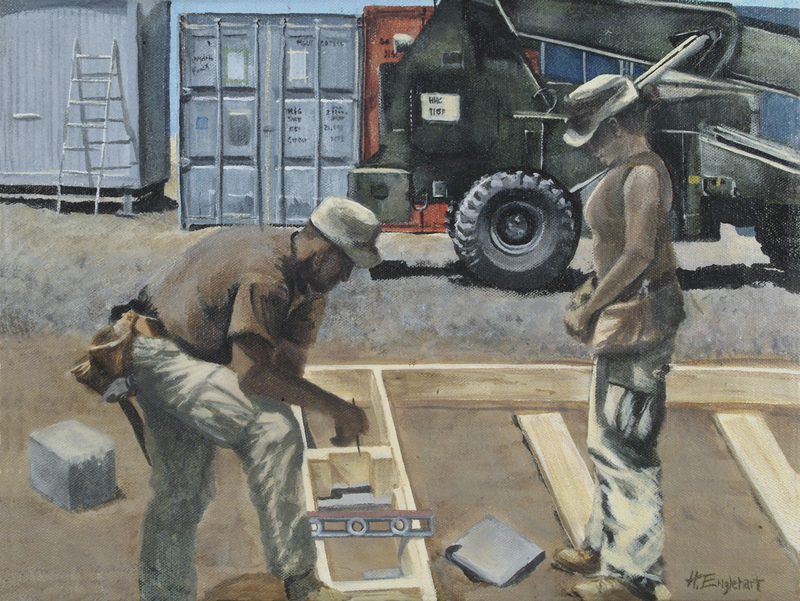 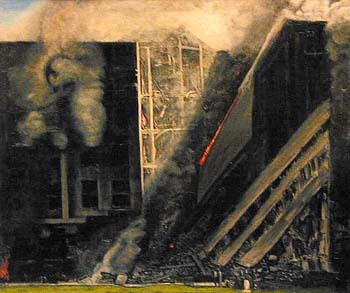 The Army�s art collection includes art from the mid-nineteenth century on, but it was not until World War I that the service specifically commissioned and deployed eight artists into the Corps of Engineers to record the activities of the American Expeditionary Forces in France. 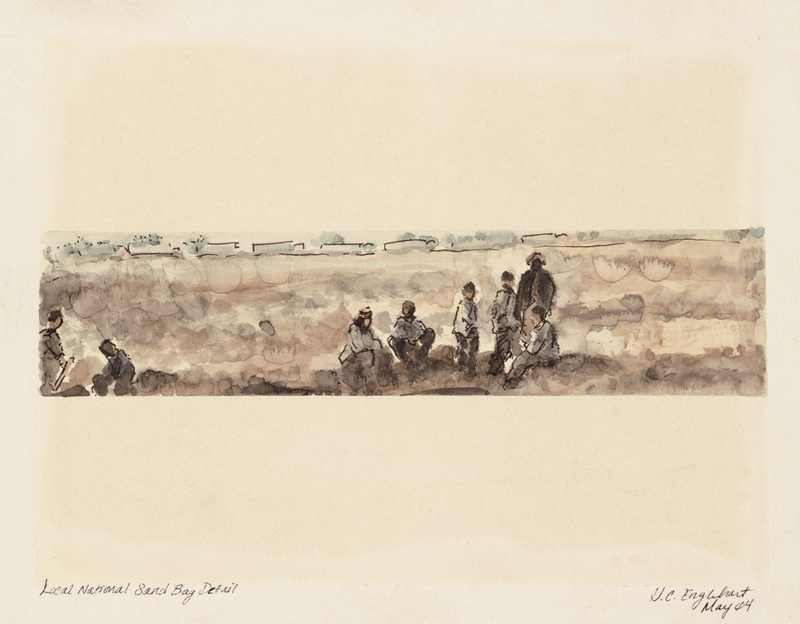 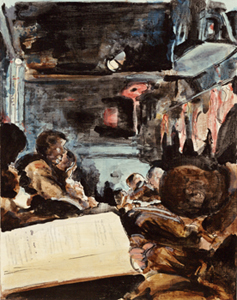 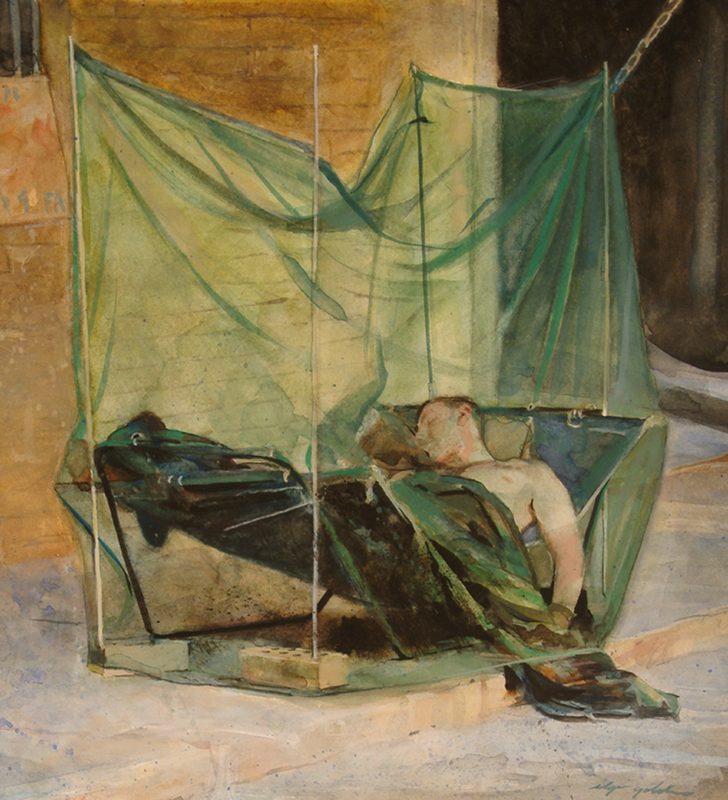 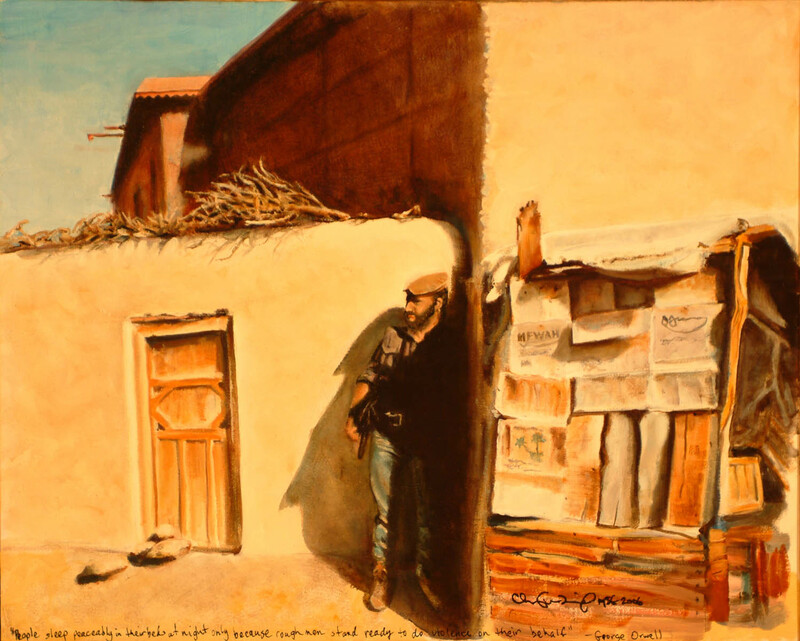 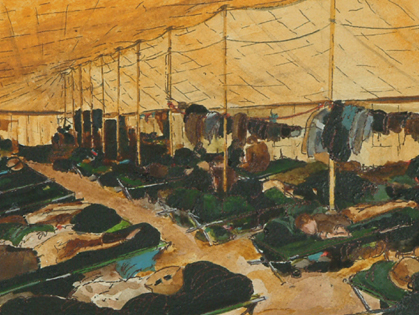 At the conclusion of the war, as the Army was unable to provide care and storage for the art due to the rapid demobilization, the artwork was given to the Smithsonian Institution�s Museum of American History. 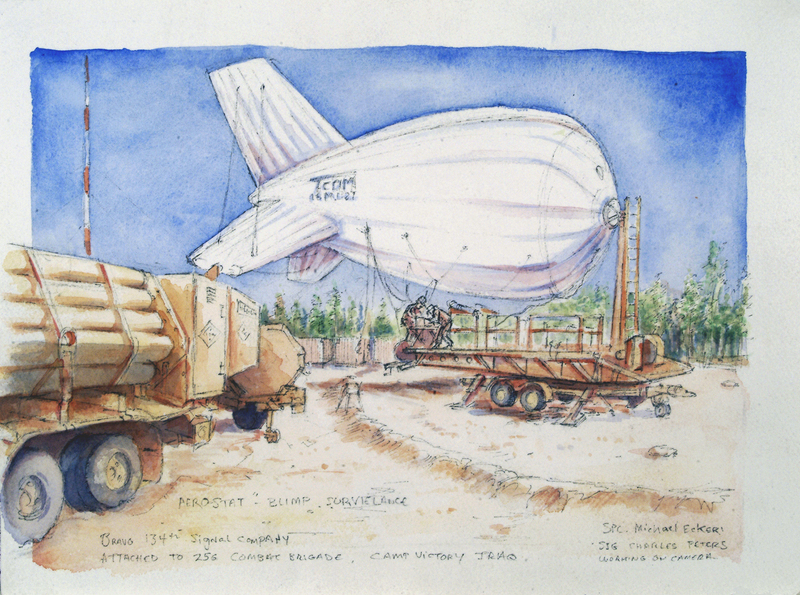 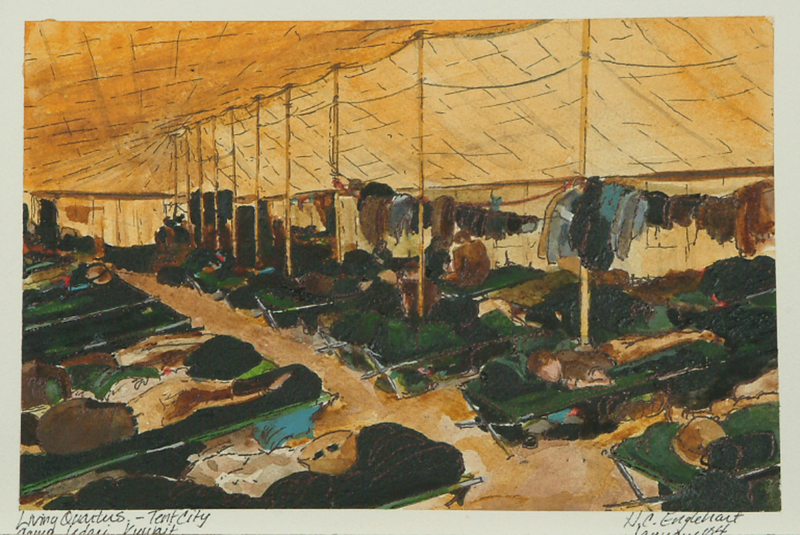 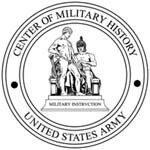 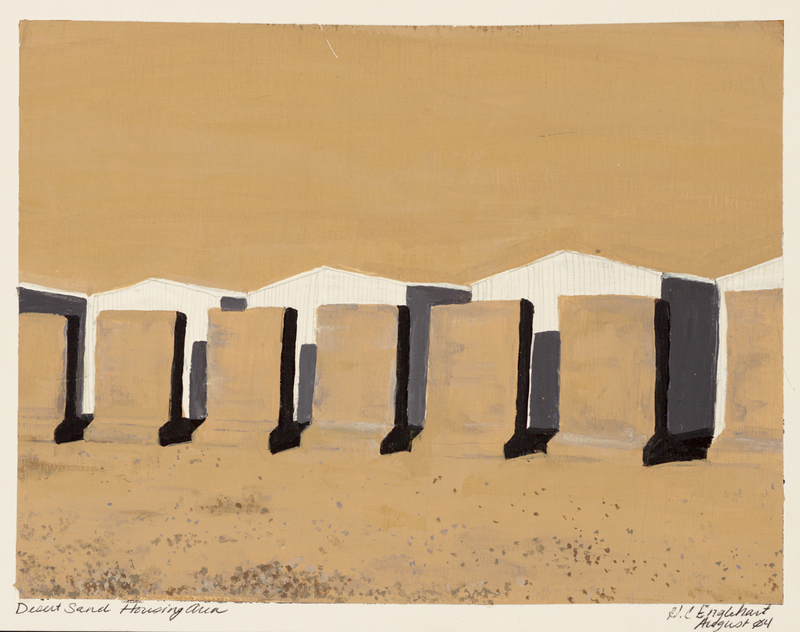 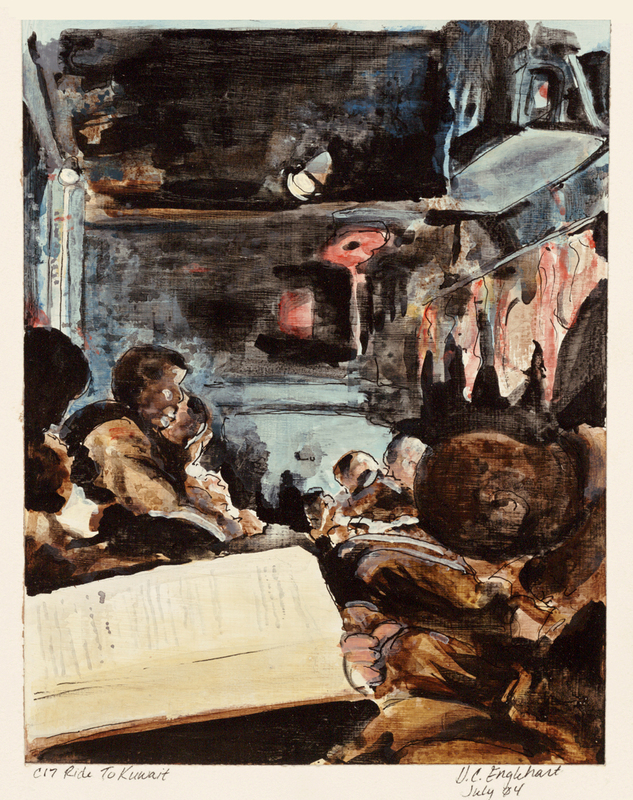 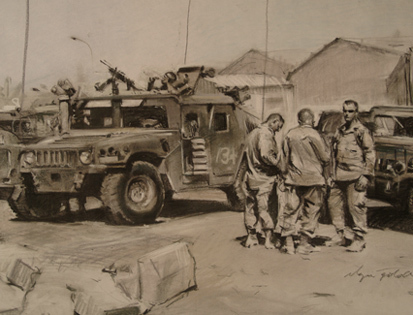 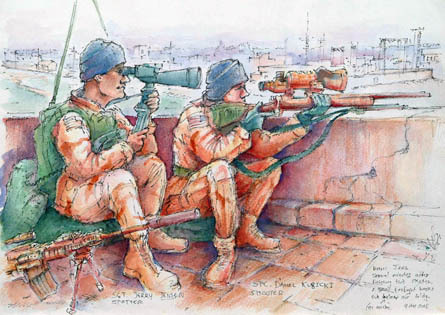 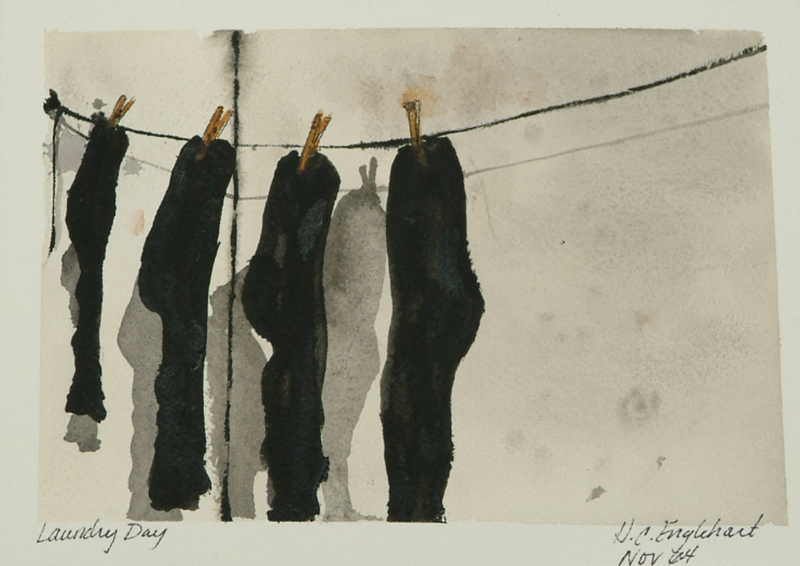 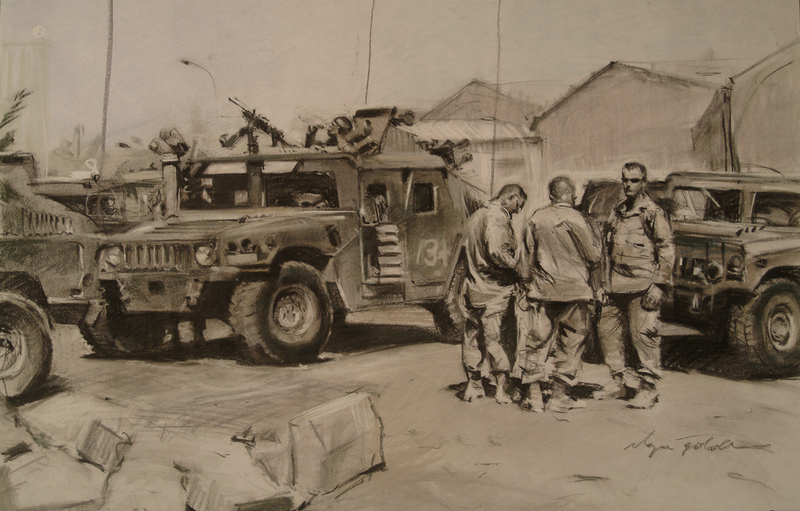 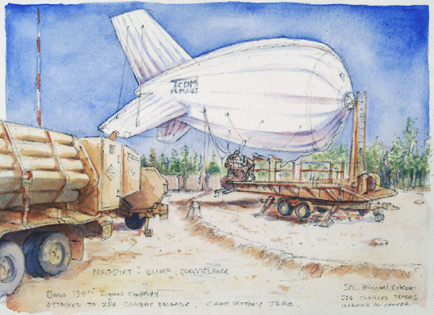 In 1992 the Army established the Army Staff Artist Program which allowed for soldier-artists to be assigned to the U.S. Army Center of Military History to provide visual records of the Army during their tour of duty. 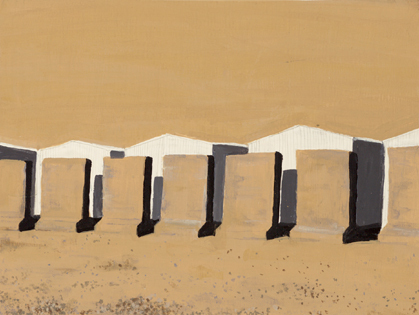 The eight soldier-artists represented here are from the Regular Army, Army Reserves and National Guard. 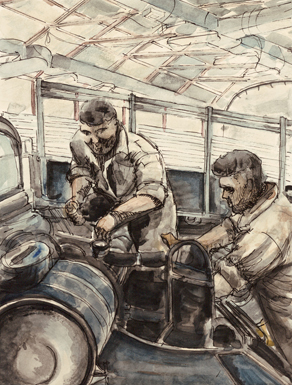 The book will continue to be updated as new art is available. 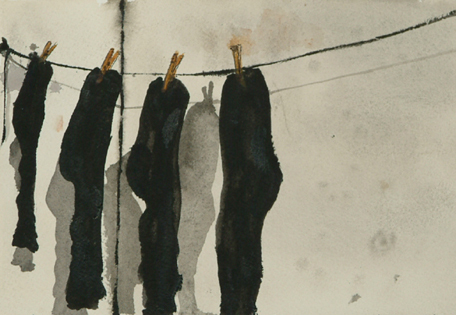 We hope you find the art thought-provoking, inspirational, and informative. 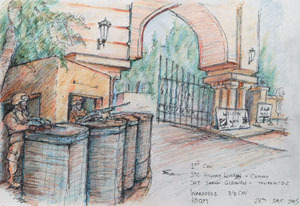 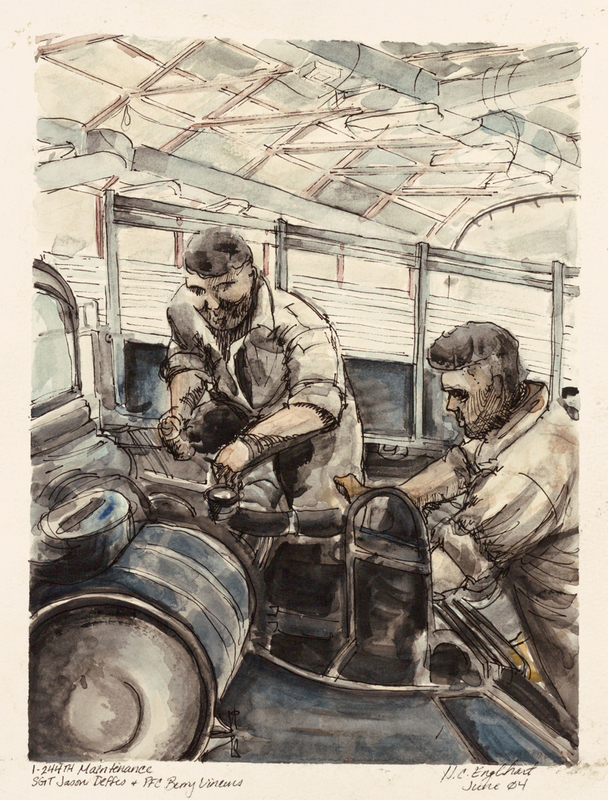 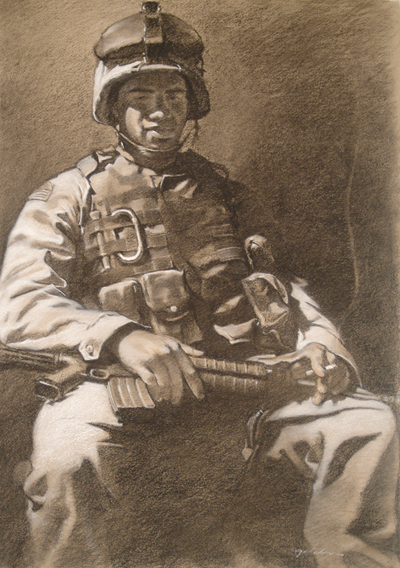 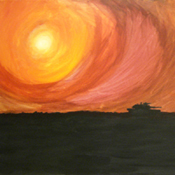 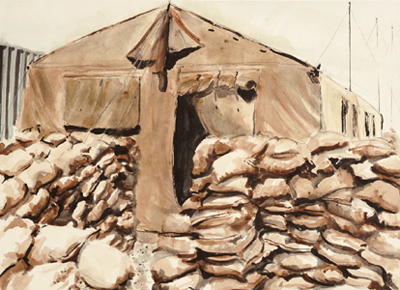 Resident Soldier-Artist, currently serving at the U.S. Army Center of Military History (CMH), Museum Division. 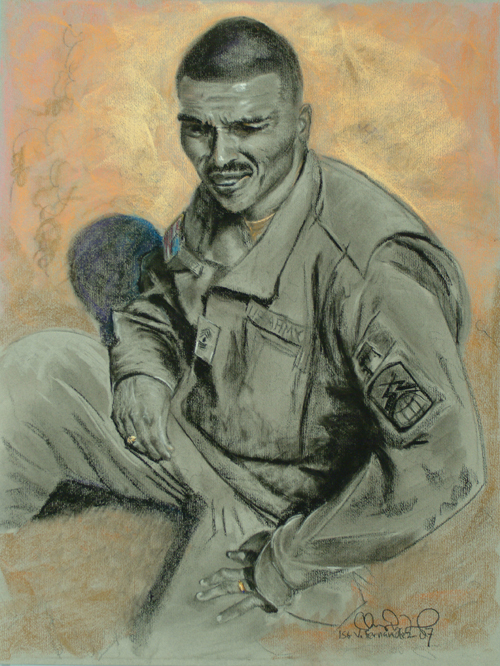 He deployed to OPERATION ENDURING FREEDOM in 2008. 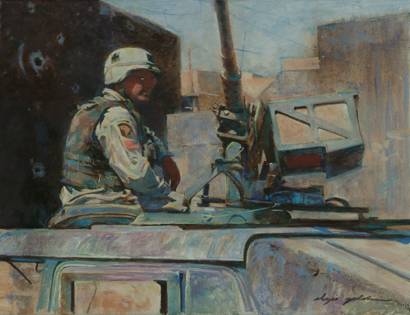 Deployed with the Louisiana National Guard in 2003-2004, in support of OPERATION IRAQI FREEDOM. 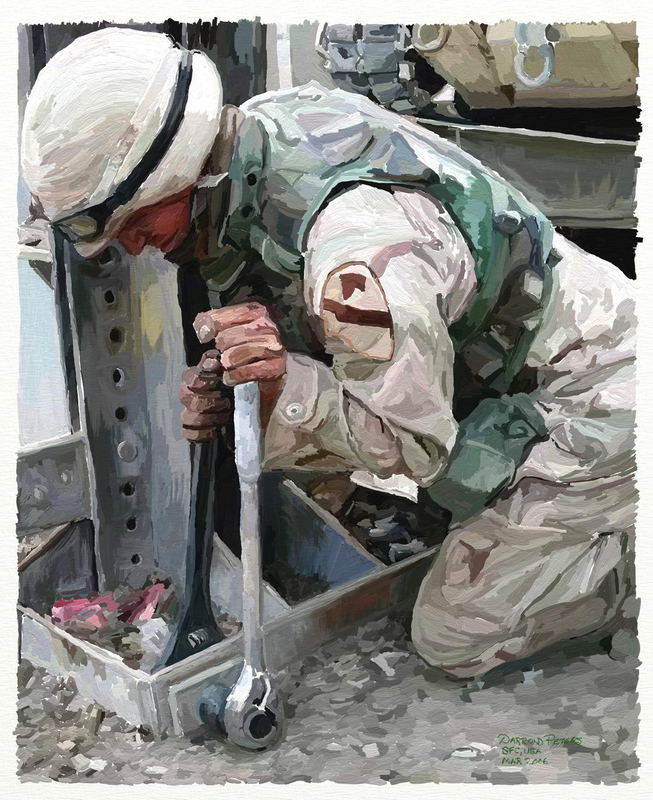 Currently an engineer officer in the LANG serving as an executive officer with the 1021st Engineer Co. (Vertical). 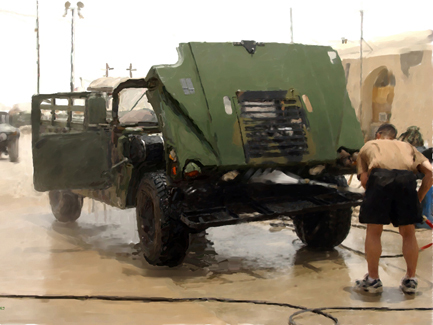 Currently serving in the United States Army Reserve with the Special Operations Command, Tampa, Florida. 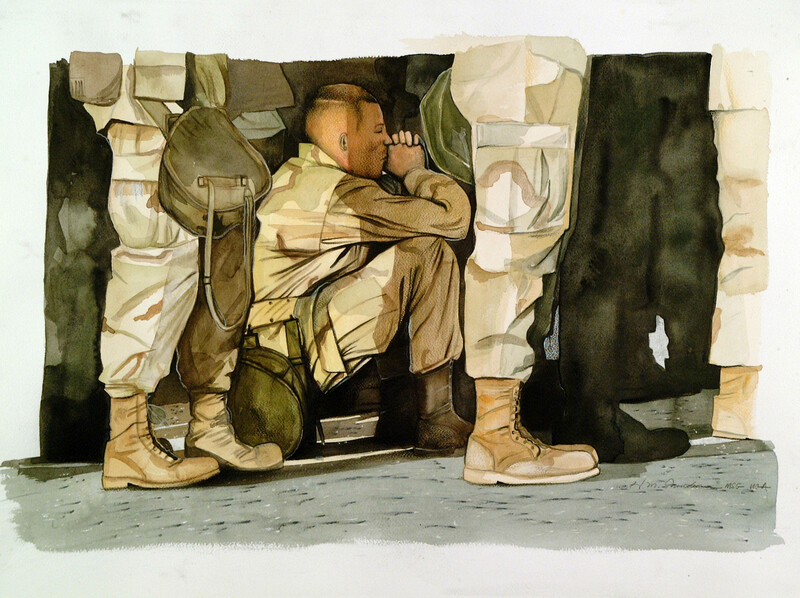 He deployed to OPERATION IRAQI FREEDOM as a photographer, print journalist and combat illustrator 2004-2005.